Raise your hand if you’re ready to celebrate Cinco de Mayo! Tacos, guacamole, and margaritas are calling to us. But what is Cinco de Mayo really about? 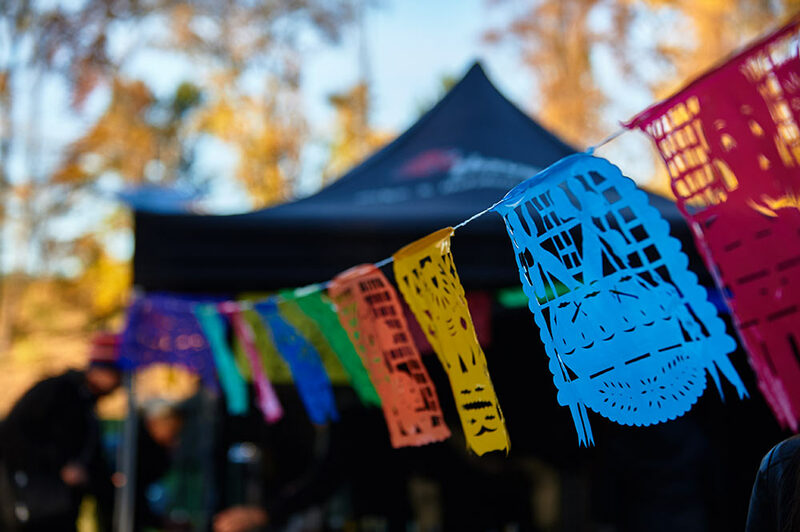 Cinco de Mayo is often mistaken as the holiday celebrating Mexican Independence Day, but it actually commemorates a battle in which Mexicans defeated French forces at the Fort of Guadalupe in Puebla on May 5, 1862. It’s one of those great underdog stories where the victorious army faced troops double their size. While the French later went on to capture both Puebla and Mexico City, the victory is still celebrated because it inspired both pride and unity amongst Mexican forces. Today, Cinco de Mayo is thought of as the great spring kickoff party. What better way to celebrate spring than with a fabulous spread of food shared with friends and family? We put together a little feast that goes beyond the typical taco menu (though there is absolutely NOTHING wrong with tacos). 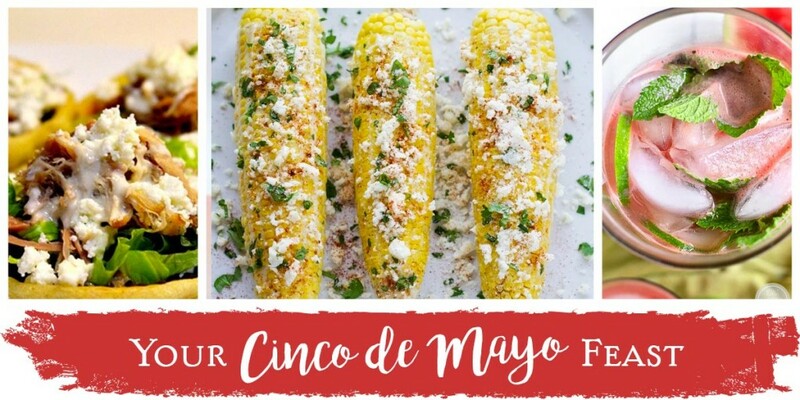 Have some fun this Cinco de Mayo and try a few new dishes to add to your spring/summer favorites. 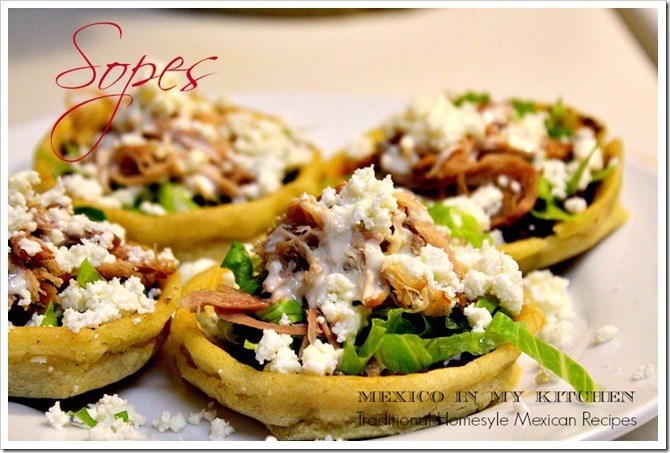 If you love tacos but are trying to be a little more creative, sopes are the way to go. Made from thick rounds of fried masa, sopes are like open-faced tacos with a softer, pillow-like shell. You can top them with just about anything–beans, shrimp, chicken, beef, or veggies. We like this traditional recipe from Mexico in My Kitchen which uses black beans, chicken, and cotija cheese. If you’re entertaining a vegan crowd, or if someone in your group has food allergies, Mexican food can be a little tricky. However, there are plenty of ways to “fake” the cheese, skip the meat, and keep it gluten free. We don’t often think of potatoes as a filler for enchiladas, but this potato and roasted poblano enchilada will tempt you to forgo a cheesy enchilada for something quite unique. 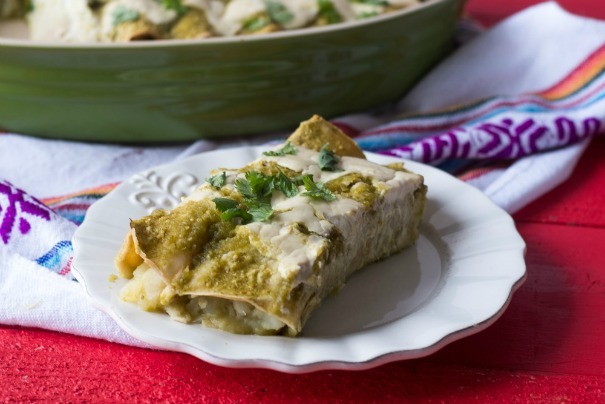 Using a cashew base for the “cheese,” these savory enchiladas are gluten-free and vegan friendly! If something can be simultaneously refreshing and decadent, it’s Mexican street corn. 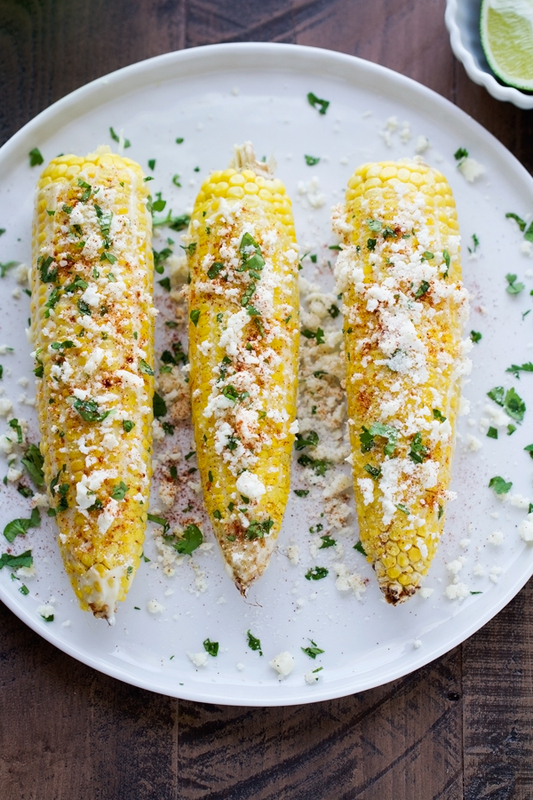 Mexican street corn takes your typical corn-on-the-cob and packs a flavorful punch of citrus, spice, and creamy cheese. It’s a great stand alone treat, but it will pair perfectly with your main dish of sopes or enchiladas. Margaritas aside, you’re going to want something sweet to wash all this delicious food down. Agua fresca will keep with your Mexican theme and taste amazing. Unlike most juice drinks, agua fresca literally takes the essence of the fruit and enhances it with fresh herbs. The result is sweet, but not too sweet. 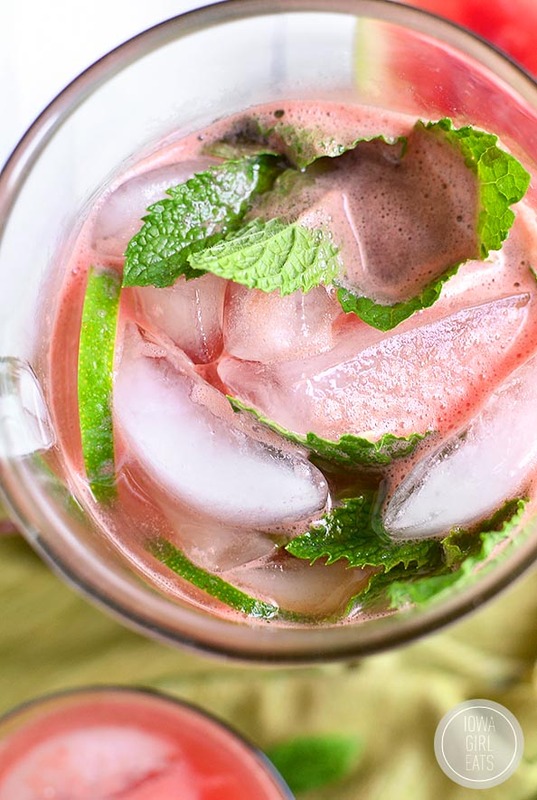 There are countless recipes and flavor combinations out there, but we like this simple watermelon mint one because it doesn’t add any extra sugar. 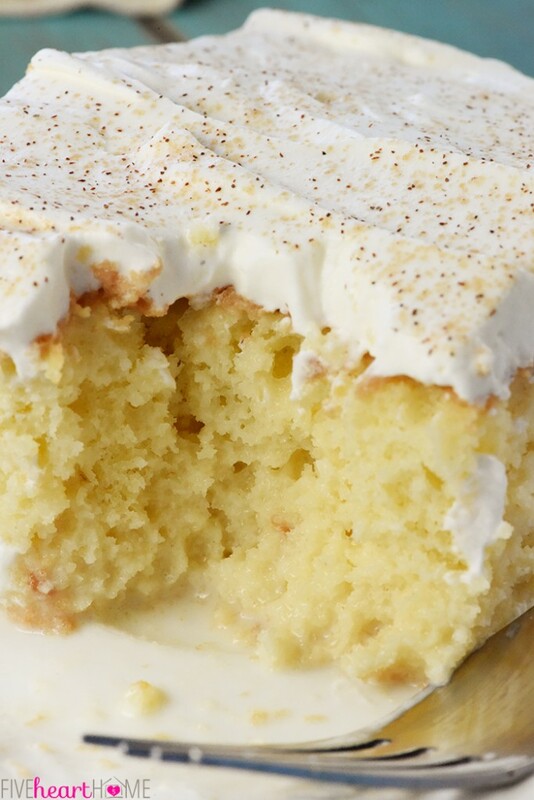 If you haven’t made a Tres Leches Cake before, Cinco de Mayo is your chance to try it. It’s a relatively simple recipe–basically just a yellow cake–soaked in three different types of milk. Sweetened condensed milk, evaporated milk, and half and half all soak overnight to make this totally decadent, creamy cake. It’s the perfect way to finish off your feast and try something new. We hope this little menu inspires you to try something new this Cinco de Mayo! Enjoy spending time with family and friends, and eat up some delicious Mexican food. Happy Cinco de Mayo, everyone! Every bride a beautiful, memorable wedding that reflects her own creative vision. While the ceremony is all about the bride and groom, the reception is about the people who share in your commitment as husband and wife. 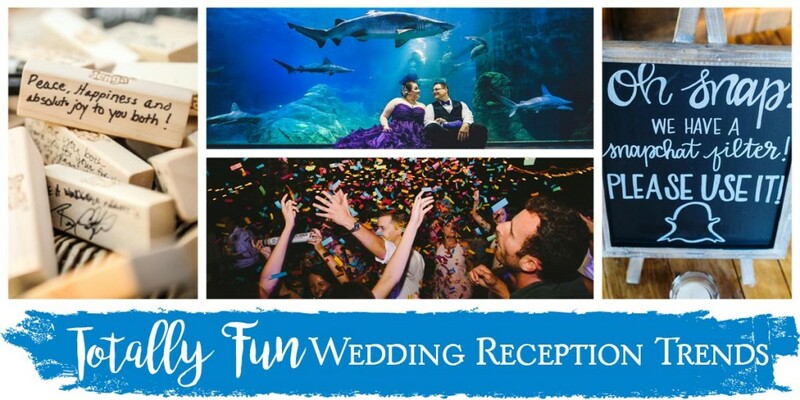 It’s important as a bride to make sure your guests have a good time, so we poked around a bit to find some legit ways to add that dash of “fun” to your reception. Of course you want to know who attended your wedding. These days, guest books have seriously evolved. Say goodbye to the boring little white book that (most of us) never really look at again. 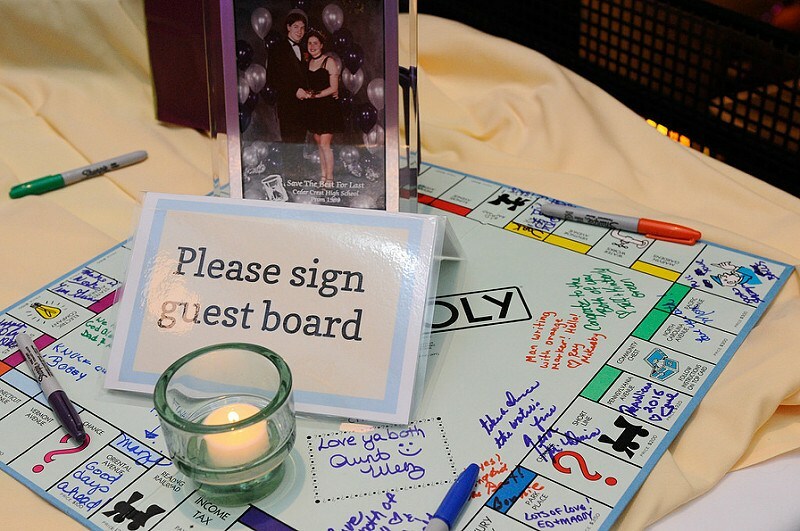 Imagine busting out a board game covered with notes and signatures from your wedding guests? You can reminisce with friends and family every time you play the game. Pick a game that you’ll definitely play in the future and use this as your wedding guest book. Monopoly, Jenga, Settlers of Catan…the possibilities are endless. In a culture that is obsessed with social media, it’s not uncommon to have guests use hashtags and Snapchat filters to share wedding photos. 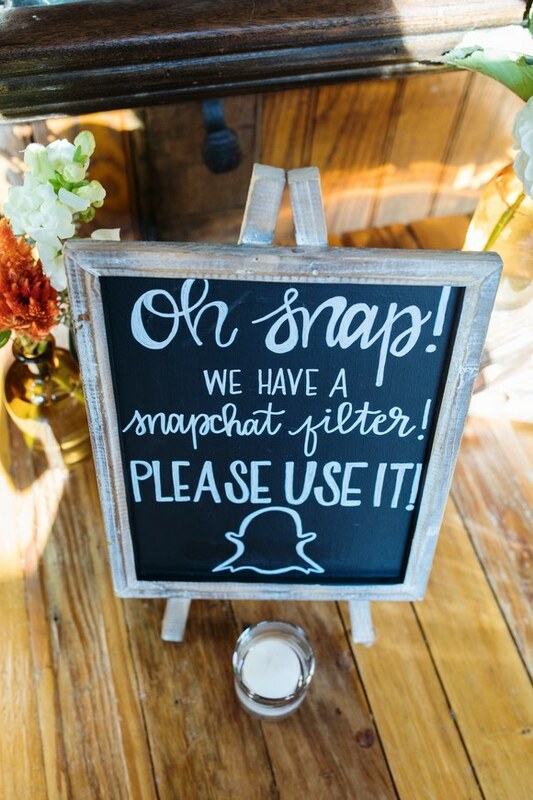 We shared a while back about the importance of creating your own wedding hashtag, but it’s also a great idea to get a geofilter for guests to share on Snapchat. You can create one yourself, or have a professional design one for you. Lots of reception fun is waiting for you on Snapchat! 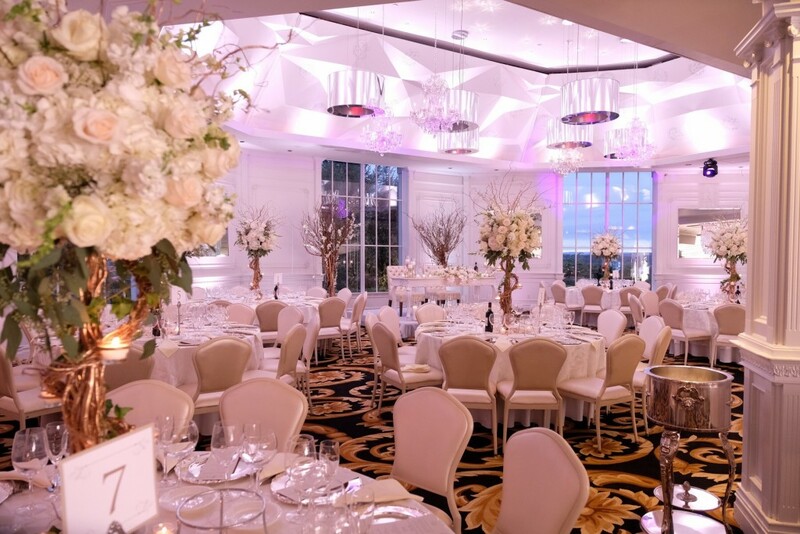 We typically think of wedding receptions taking place in ballrooms, resort lawns, or sometimes even barns. However, there are a few other out-of-the-box ideas that can make for a super fun reception. You can give your guests the privilege to see you tie the knot, as well as provide them with an amazing experience by attending your wedding. Have a love for the marine life? 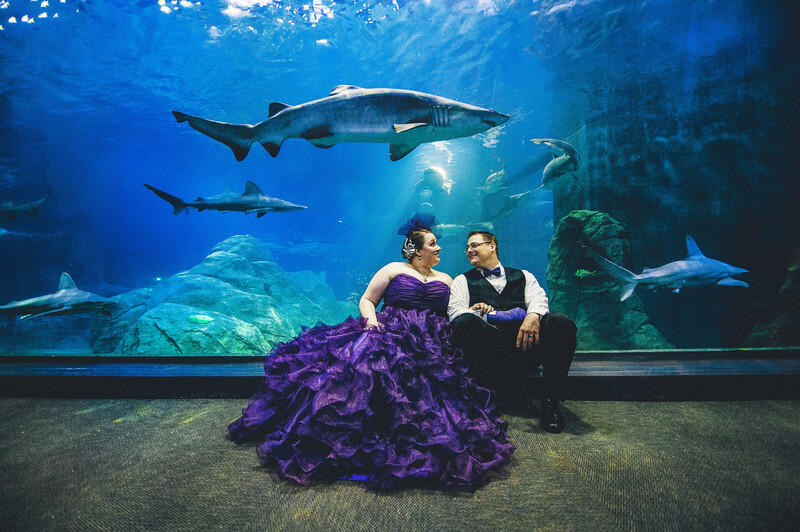 Seal the deal (pun intended) by having your wedding at an aquarium. Don’t be surprised if you get photobombed by some underwater guests! Another unique venue that provides hours of fun is a bowling alley. Not only is this sure to be a memorable wedding, but it’s actually a fairly economical choice for a venue. Any baseball fans in the house? You can actually have your wedding on a field or in a stadium. How fun is that? 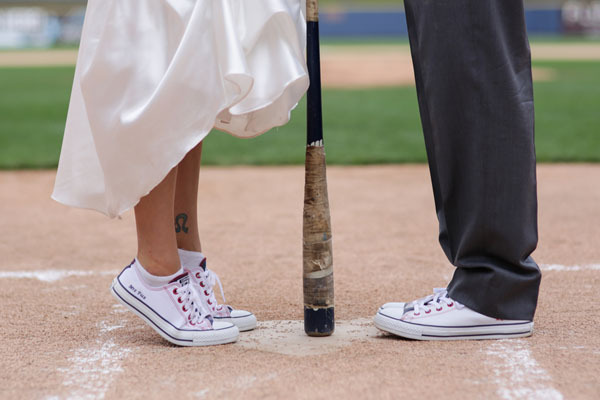 It doesn’t have to be a major league field to impress your guests, and a field might provide the perfect way to have kids attend your wedding. One sure-fire way to guarantee a good time for your guests is to outsource a little entertainment. You don’t have to have an Elvis impersonator show up–though that would be awesome–to get folks excited. Simply find an activity or entertainer that will help keep the party flow going. For example, consider having a photo booth. Photo booths are great because they provide entertainment AND a favor to take home. Get started by reading everything you need to know about photo booths. Have you ever been at a wedding where no one wanted to dance? Yes, it’s not a fun a place to be. You can bypass that whole awkward episode by hiring an experienced DJ, and/or a professional dancer to join and mingle with your crowd. We might add that it doesn’t hurt to throw some confetti in there for a truly spectacular dance floor! In closing, every wedding has it’s own unique style and vision. You can have every bit as much fun in a ballroom as on a baseball field. What matters is that you stay true to your creative vision and think about what YOU enjoy most. If you’re having a good time your guests will too. Easter Sunday is this weekend, and families are gearing up for spring break and Easter celebrations. Spring dresses, Easter baskets, egg hunts, and family feasts are the first things that come to mind, but there are plenty of other activities to keep you busy Easter week. We searched around and found a few projects and recipes that are kid-friendly and oh-so-festive. 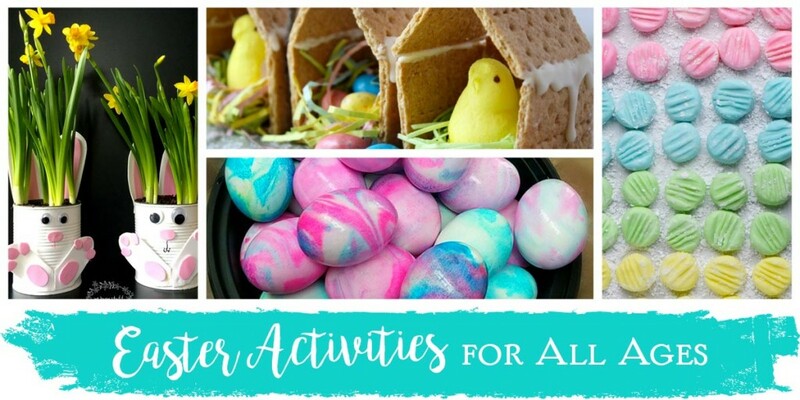 These ideas are perfect for incorporating into playdates, family time, and Easter preparations. We welcomed the first day of spring last week, and you cannot think of spring without images of tulips and daffodils popping into your mind. Give your kids the chance to try a little fool-proof gardening with these Bunny Planters. 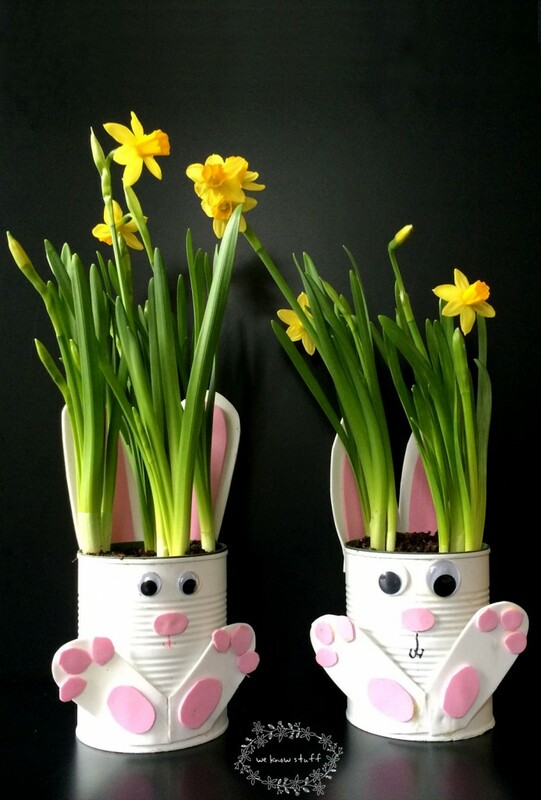 We like this craft because it doesn’t require too many materials (you get to repurpose cans), and it showcases the cheeriest spring flower in kid-friendly way. 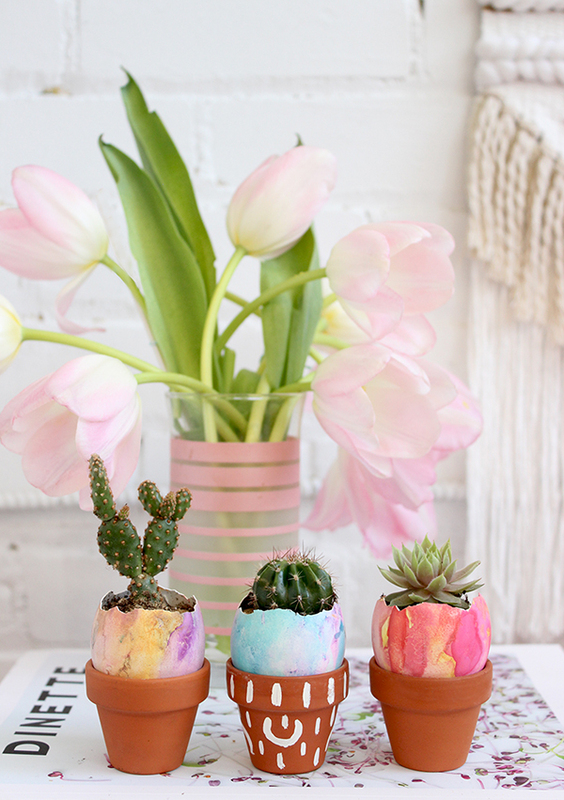 Another fun “gardening” activity are these pretty cactus desert eggs. Like succulents, cacti are the one plant group you just can’t mess up. They are perfect for those of us who lack a green thumb [wink]. Not to mention, this little setup with an empty eggshell makes for delicate and artistic work. This is a good project to do with your older kids because it’s a little more detail oriented. When it comes to hunting eggs, kids are pretty united in claiming plastic ones are best. Your average hardboiled egg just doesn’t hold up to candy and trinket-filled plastic ones. However, there is something special and nostalgic about dyeing eggs. Even if they only end up in a potato salad, your kids will definitely want to participate in the dyeing ritual. You can go the old school route for dyeing, or switch it up with this fun shaving cream project. 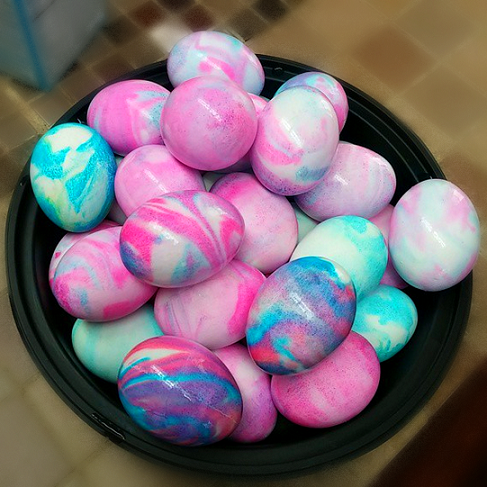 Kids will love playing with the colors and textures and you’ll get some swanky eggs as a result! We typically think that Easter egg hunts are reserved for the little kids. But don’t you remember being a 12-year-old and looking out at the hunt with a bit of longing? Most kids know how to operate a smart phone. In fact, your average 10-year-old understands the workings of an iPhone better than most adults. That’s why this Easter egg hunt for big kids is so genius. It’s a scavenger hunt engineered by QR codes. This post has all the printables and you just print, stuff the eggs, and hide them. 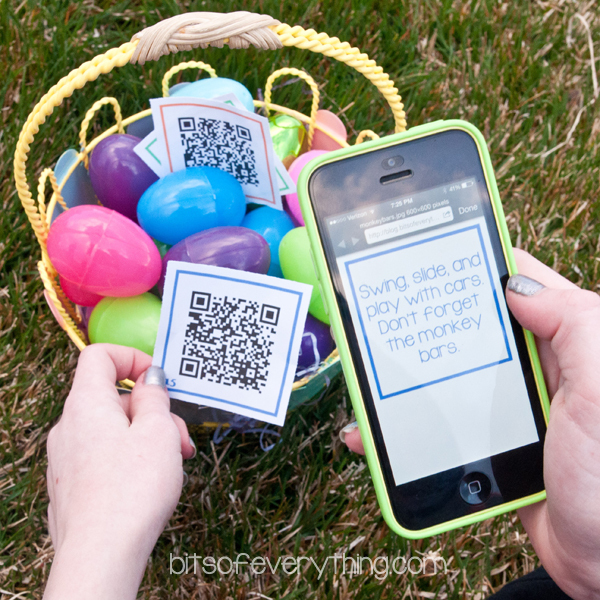 Find a cool prize, and surprise your tweens with an egg hunt that has them feeling like a little kid again. When it comes to Easter candy there are two types of people: those who love Peeps and those who hate them. No matter which category you find yourself in, Peeps still provide plenty of fun and entertainment for kids. 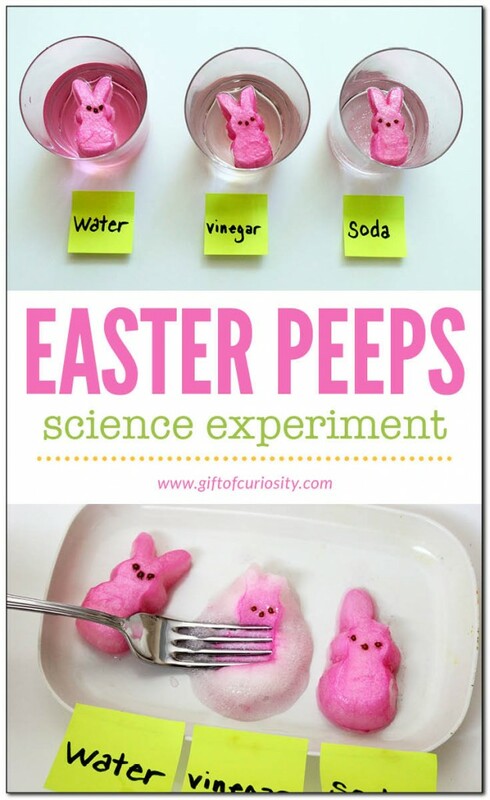 If you’ve got some little scientists in the house, we recommend this fun experiment to see how Peeps hold up in different liquids. We know you’ll have some Peeps left over so here’s what you do next: make a Peep home! Who says gingerbread houses are only for Christmas? 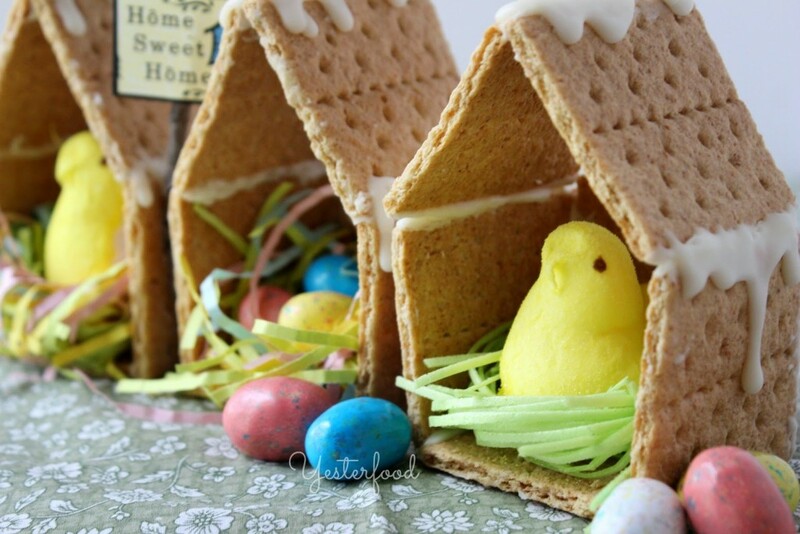 This little graham cracker house is adorable and will make for some fun decor for Easter. If your kids are like mine, they love to make holiday favors for their friends. They enjoy playing a little ding-dong-ditch and leaving little treats for their friends and then laughing at their sneakiness. They will have some time on their hands during Easter break, so why not channel some energy into gift-giving? 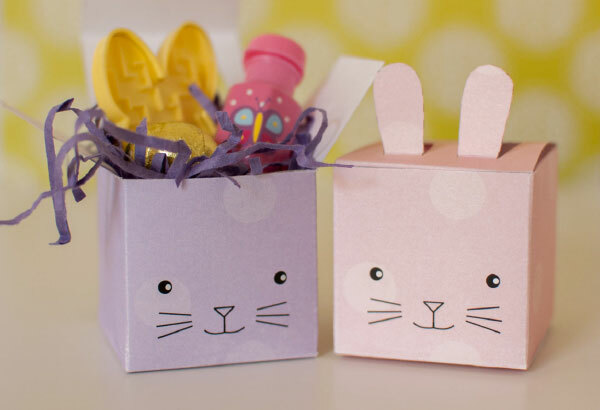 These Bunny Boxes are adorable and will take up some time for them to make. You can grab a few items for the dollar store or dollar bins at Target and then gift them to a few special friends. 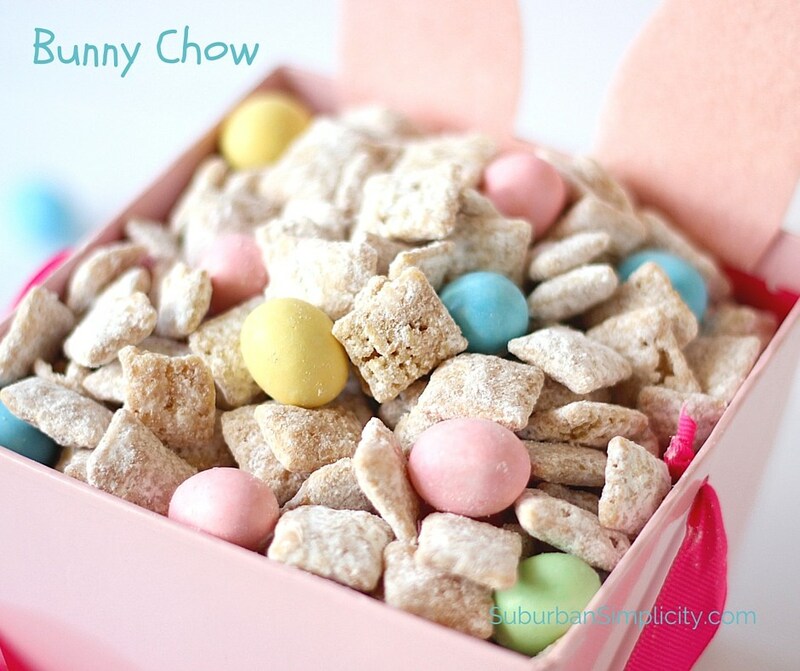 Most of us had our first taste of Puppy Chow (also known as Muddy Buddies) in college when it was the economical treat that fed everyone in your dorm. Well, it’s still just as delicious (and addictive). It’s also one of those recipes that can be adapted for every holiday. Simple and foolproof, this is a recipe your kids can make by themselves with just a little supervision. It’s actually the perfect thing to throw into their bunny boxes! Remember those pastel dinner mints? They were all soft colors, melt-in-your-mouth buttery goodness, with a hint of mint. Your grandma most likely had them in a fancy candy dish that was always within reach. 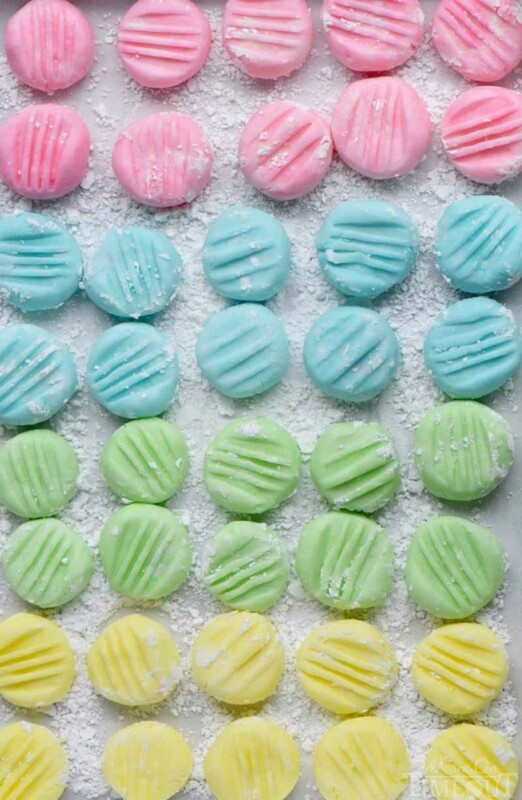 While dinner mints may (sadly) be a thing of the past, this fantastic recipe channels that nostalgia in a way that makes for a fabulous Easter treat. It’s also simple enough that your kids can help you make it, without the stress of a big mess in the kitchen. We hope these ideas give you a bit of inspiration for Easter week. If you do try out any of our suggestions we would love to see it! Share with us on Facebook or Instagram using #superiorcelebrations. Planning out your wedding day factors in a lot of “firsts” that you won’t experience until the actual day of the wedding. 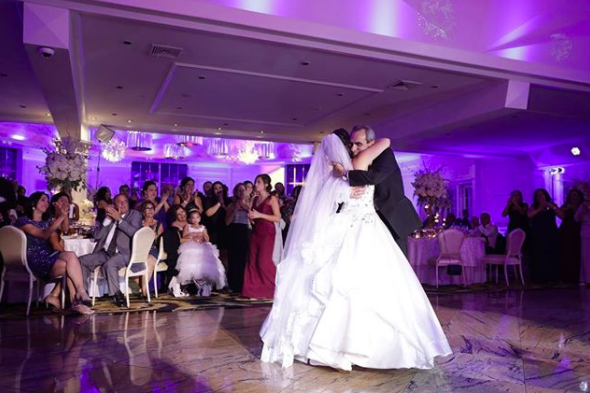 The first look, the first kiss, and the first dance are just a few of the first things you experience as bride and groom. But another important thing to plan is the last thing you do at your wedding. Sparkler exits are hands down the best way to finish off your day. 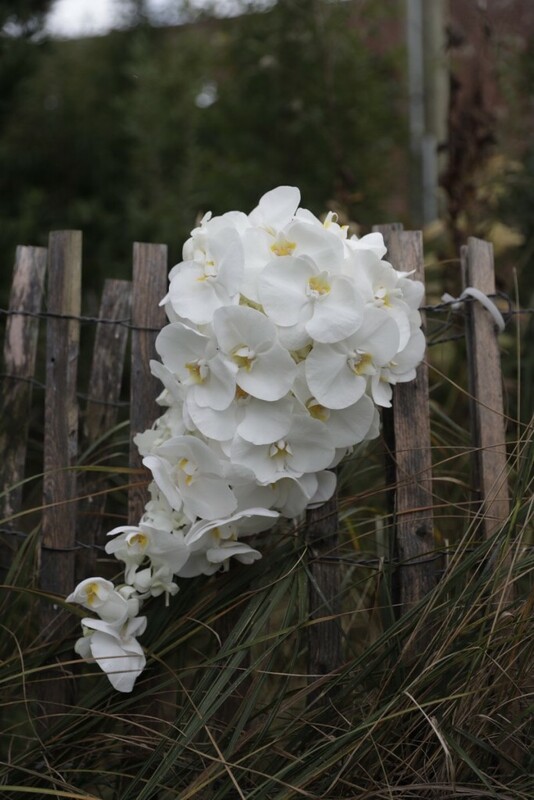 You add magic, sparkle, and the best photo opportunity of the day for your guests. There are some important things to know about sparklers and we wanted to provide you with all the information you’ll need to have a fantastic sparkler exit. Let this guide be a resource for you, your wedding planner, photographer, and venue for a seamless finale to your beautiful day! It’s highly important that you choose a quality sparkler for your exit. 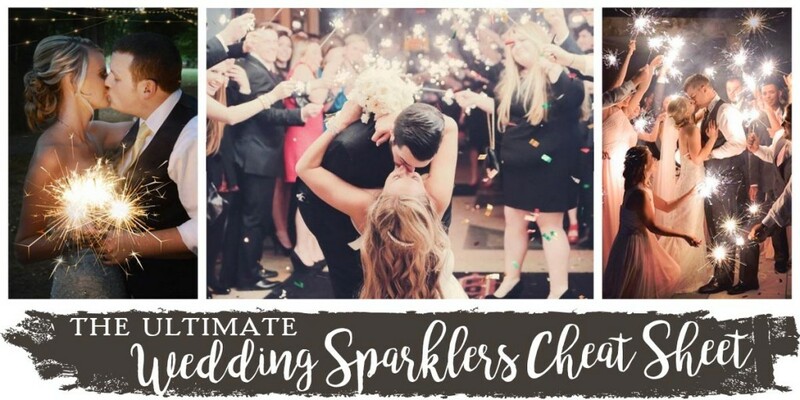 There are many places to purchase sparklers, but we recommend you know exactly what you’re ordering from a brand you trust. You also want to know how much time you have with the sparklers. Our 20″ sparklers have an easy-light tip, burn for about two minutes, and have a beautiful gold sparkle. Our 36″ sparklers are the largest sparkler available and burn for over three minutes! Our customers love that these sparklers give ample time to take plenty of pictures. You’ll have the chance to run through the exit several times to get the shot you want. Sometimes couples opt for cute matchbooks to pair with sparklers, but we want to encourage you to keep the matchbook favors separate from your sparklers. Sparklers should be lit from wind-resistant, torch-style lighters. The next best thing is a long-stem grill lighter. Once you start getting some sparklers lit, you should use the sparklers to light other sparklers. A sparkler will light up almost immediately from another sparkler. Make sure your guests understand this so they don’t pull out lighters or have any confusion during the sparkler exit. As with anything involving fire, you want to have a safe way to dispose of the sparklers when you are finished using them. Since the sparklers will still be warm you don’t want to toss them in trashcans. You can place the discarded sparklers in buckets of sand for them to cool before throwing them away. Have buckets positioned in an easy-to-see place at the exit. 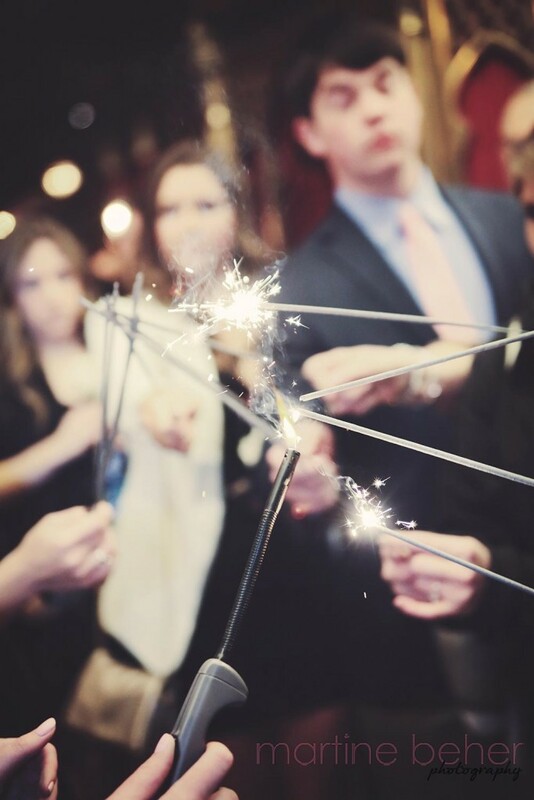 Scheduling your sparklers is an extremely important part in your wedding itinerary. You want it to be at a time when you have plenty of guests on hand, but you definitely do not want to “exit” your party too early. 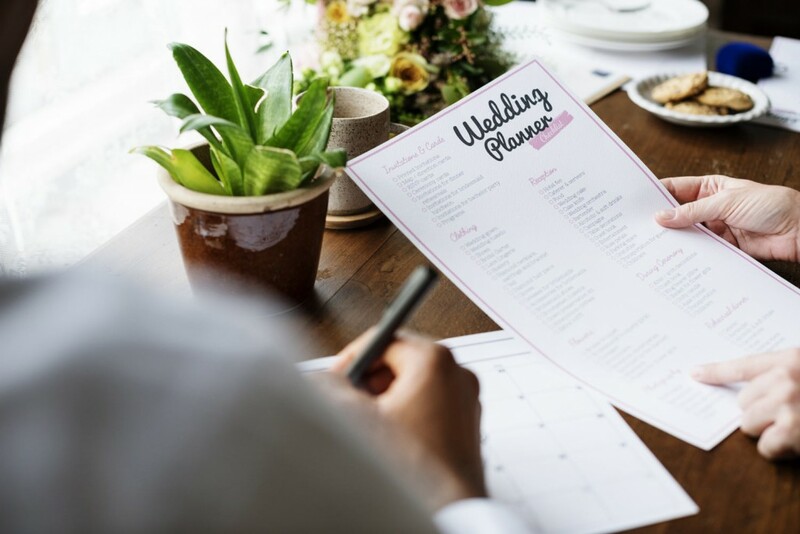 Your wedding planner will be your best resource in determining what time you schedule the send-off. 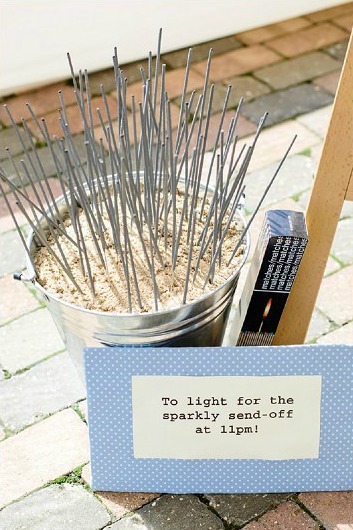 Let your guests know when you plan to do sparklers so that everyone who wants to be there stays for it. Your photographer will also need to plan for that time and can help you decide the best place to stage the send-off. You want a large, open space clear of low ceilings or brush. Hire a driver to pick you up in your chosen getaway car. 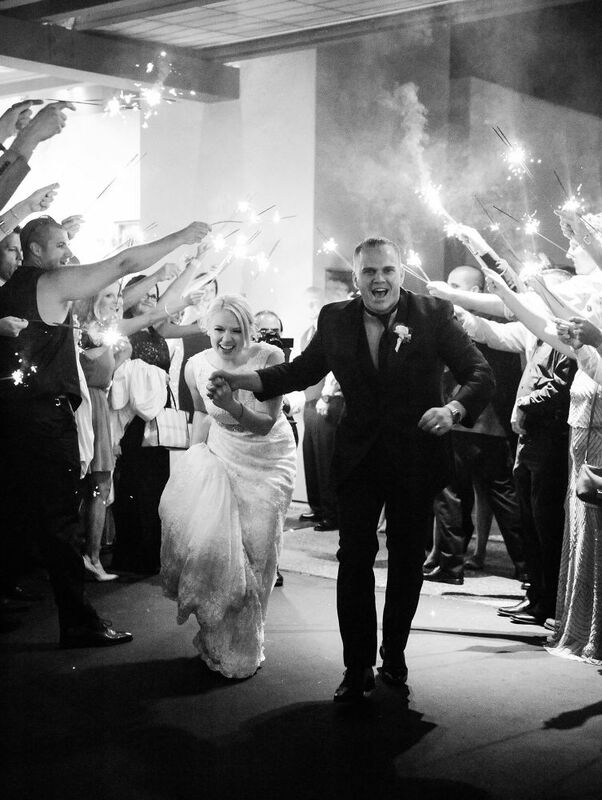 You want to be prepared and informed to capture a sparkler exit, or any sparkler photo. There are some technicalities involved that are better handled by a seasoned photographer. That said, if your first time shooting sparklers is at a customer’s wedding you should have a practice round before the big day. For answers to the more technical questions including information on lighting and ISO check out our post How to Photograph a Wedding Sparkler Exit. 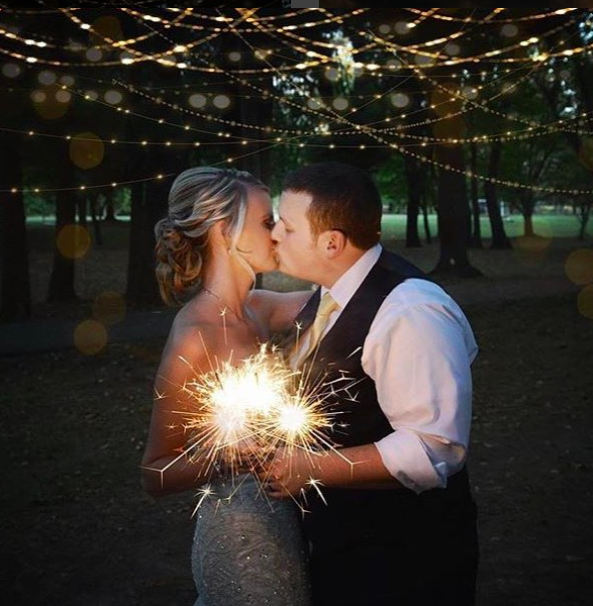 When it comes to staging sparkler photos, the possibilities are endless! Traditionally, guests form a sort of tunnel for the bride and groom to run through. These photos are fun because you get to see all the people who stayed to the end of the wedding. Capturing a kiss at the end of the tunnel also makes for some of the best photos. 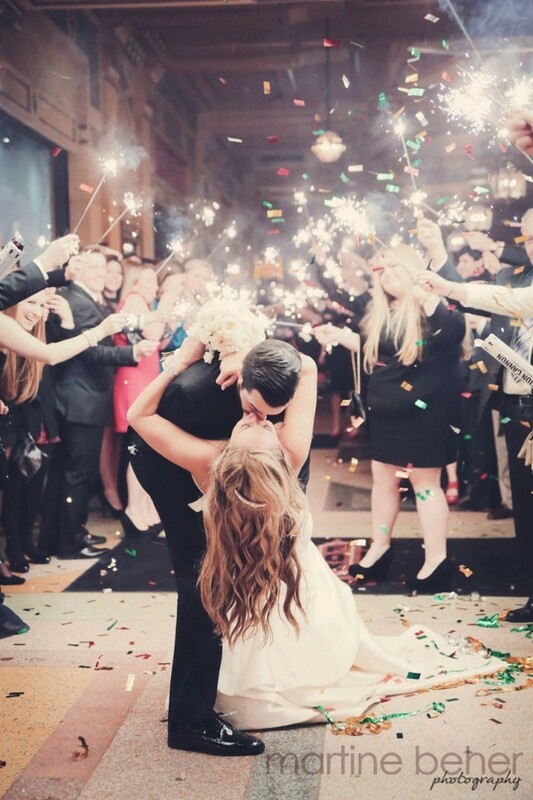 You can also combine a sparkler exit with confetti cannons for the ultimate display of fun. 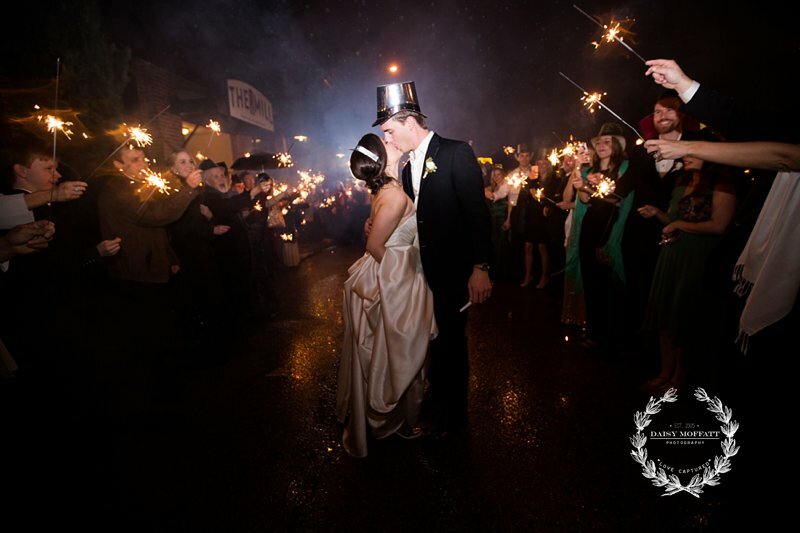 You can also do close-ups of just the bride and groom with their sparklers. These make for a more intimate photo and are easier to capture since you can control the light. Get the wedding party in for a close up! This is a fun way to get all your friends into one unique shot. 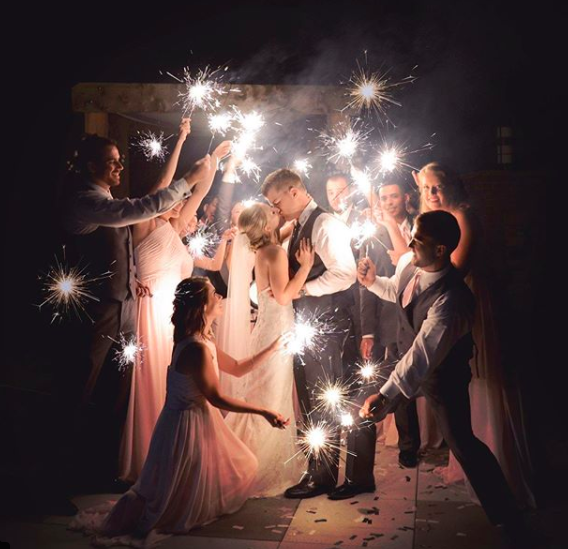 Wedding sparklers are a beautiful way to finish off your big day. We hope this guide helps you understand how best to use them and gives you some ideas for your photos. 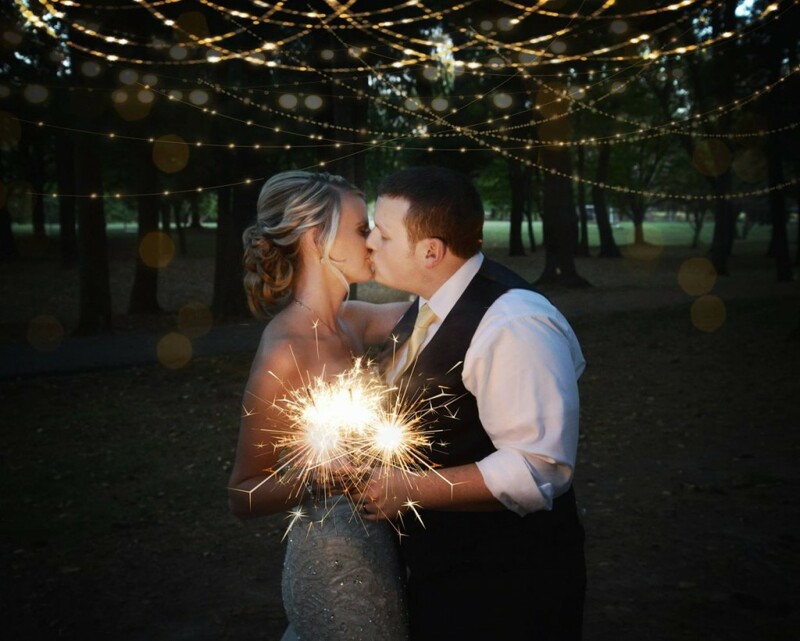 If you use our sparklers at your wedding we would love to see the photos! Feel free to tag us on Facebook or Instagram and use #superiorcelebrations for a chance to be featured. We made it to March and while spring isn’t quite yet here, it is finally on the horizon. That cold stretch between New Year’s and Valentine’s Day has everyone dreaming of sunshine, warmth, and days spent outdoors. However, the dawning of spring is not just about a change in weather or season. Across the globe, spring is tied to a deeper cultural and religious idea of rebirth and renewal. And while there are many ways to celebrate the transformation of winter into spring, the Hindu celebration of Holi beautifully captures the essence of color, joy, and rebirth that is spring. Holi is an annual festival that is celebrated on the day after the full moon in the Hindu month of Phalguna (early March). The perfect end to winter, Holi rejoices in all the color that comes with the spring season. A celebration of love, new life, and brotherhood, Holi is kicked off by the lighting of a giant bonfire Holika Dahan, or Chhoti Holi. In India, the caste system is still adhered to by stringent standards. However, during Holi, social boundaries are replaced by a merry camaraderie where people of all classes splash each other with color powder. You can read all about color powder in our post Color Powder: Inspired by Holi. 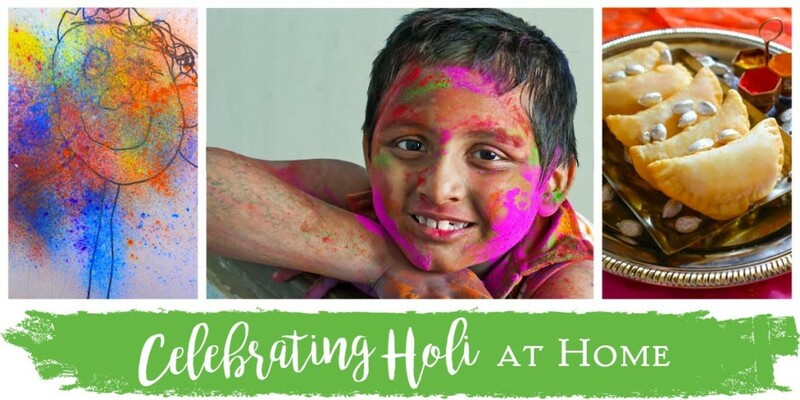 Today we want to introduce you to a few ways to celebrate Holi at home. It is both enriching and fun to learn more about cultural celebrations around the world. What better way to get your kids excited about learning than to do with it with a fun holiday? Perhaps the first thing to do when introducing your children to a new concept or idea is to read to them. Indian mythology is full of exciting characters and stories, but if you didn’t grow up with a Hindu background it can be overwhelming to try and explain to children. 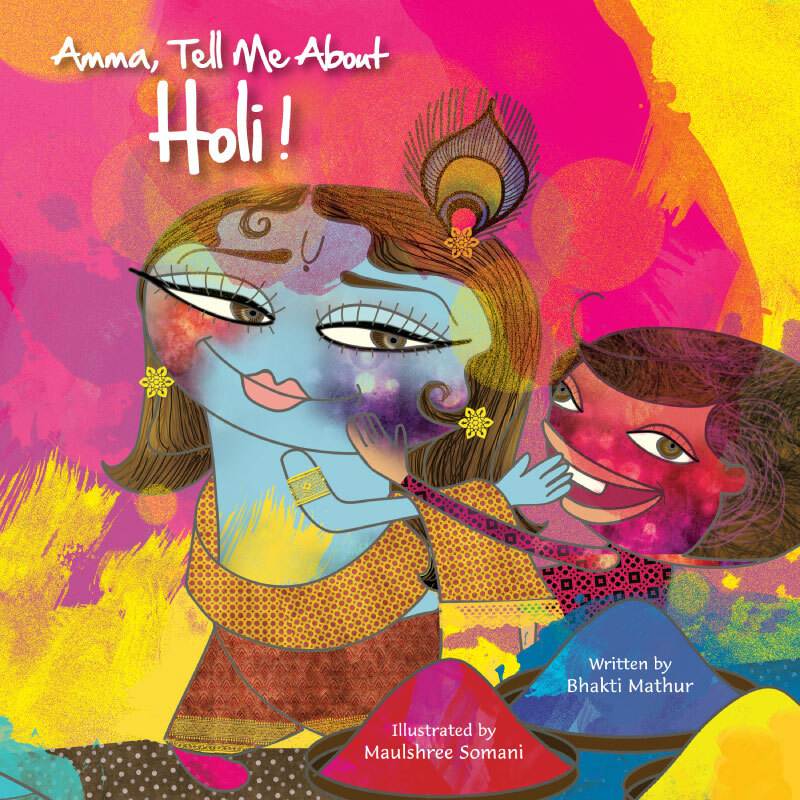 The Amma Tell Me series by Bhakti Mathur introduces children to important Indian celebrations in an engaging and easy-to-grasp way. Her series actually started with the book Amma, Tell Me About Holi and the success of this beautifully illustrated piece led to the publication of the rest of the series. Definitely check out her website, and grab Amma, Tell Me About Holi today. Holi is known as the “festival of colors,” and the traditional colors of Holi are red, blue, yellow, and green. Each color represents a different aspect you can talk to your children about. Red is symbolic for love and fertility, and blue represents Krishnu, god of compassion and love. Yellow is the color of tumeric, a spice that is very important in Hindu ritual representing prosperity. Green brings us round to spring as it characterizes new beginnings. During Holi celebrations, people are bedecked in color powder. We’re talking head-to-toe covered in color. If you’re not able to attend a festival, or are cringing at the thought of the clean-up you can introduce your children to the tradition through art. 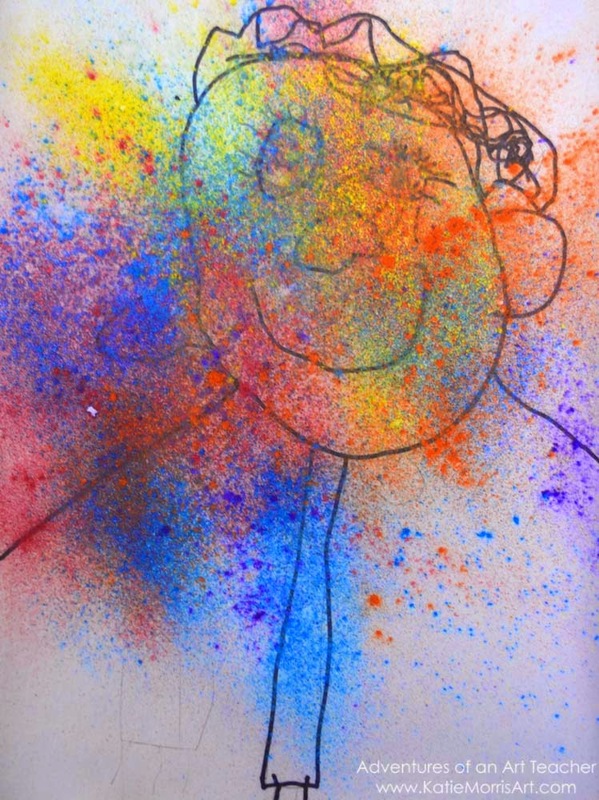 This art project by Katie Morris Art has kids make a self-portrait and then use powdered tempura to splash them with the colors from Holi. 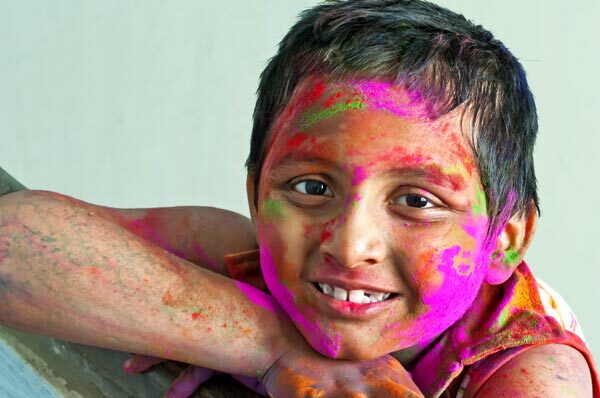 The project is a little messy, but so fun for kids who haven’t been exposed to Holi before. You can do this at home and create some great pieces they will love. Like every great celebration, Holi is known for sharing delicious meals with friends and family. For a great list on what is typically consumed at Holi, check out this post for 23 dishes you must try during Holi. It will help if you want to order take-out and aren’t sure what to get. Or if you’re really ambitious, you can try to cook some of them! 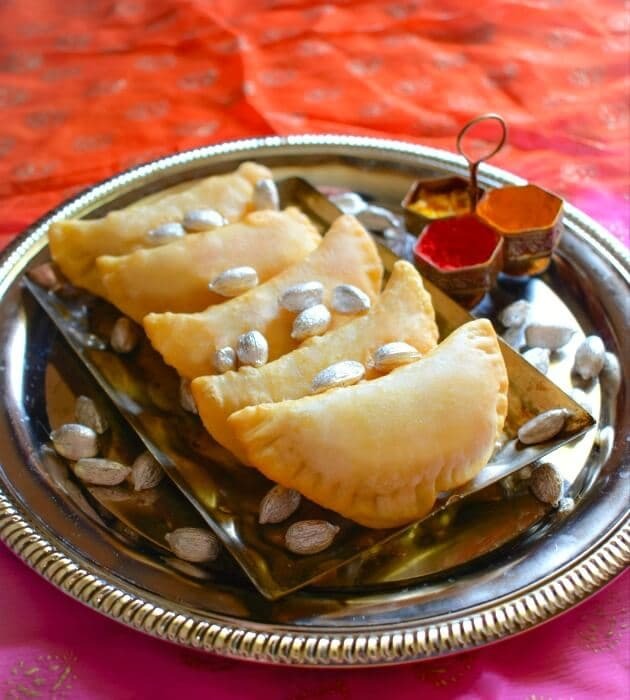 If you enjoy baking, one recipe to try out is Gujiya, an Indian sweet pastry. This dish is both fried and baked, and has a creamy filling of ricotta and nuts. You’ll get to bust out that member of your spice cabinet that for most of us isn’t used too often–cardamom. 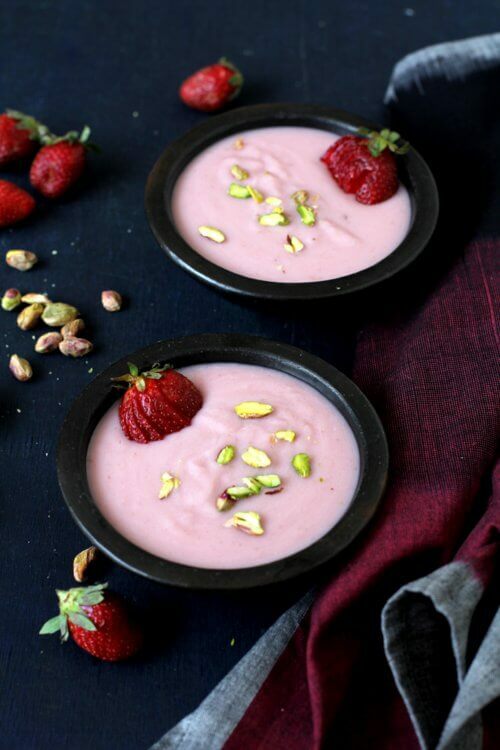 Another delicious recipe to try out is Strawberry Phirni. Phirni is a traditional Indian rice pudding that is both sweet and creamy. This is definitely a kid-friendly dish, and you can have your children help you make it. What kid doesn’t love helping in the kitchen especially when sweets are involved? We hope this inspires you to introduce this beautiful holiday to your children and learn a few things along the way. Spring is the season of new things, and Holi is the perfect way to welcome it. If you are celebrating Holi at home or in your community we would love to see your festivities. Make sure you tag us on Facebook or Instagram with #superiorcelebrations. It’s no secret that social media changes how we approach different life events. Everything from birthdays, to holidays, to natural disasters, to new box-office hits can be documented by a hashtag, and the conversation is open to everyone. This is especially true when it comes to wedding hashtags. Couples usually come up with a hashtag shortly after they become engaged and document the engagement, wedding planning, and actual wedding with their hashtag. Besides being a great organizational tool, hashtags also engage your friends, family, and guests who are unable to attend your wedding. So how do you come up with an original hashtag? Choosing the right hashtag is extremely important. You do not want to merge your hashtag with someone else’s, and you also want to make it easy for friends to avoid spelling errors. The traditional approach to finding a hashtag is putting a spin on last names. 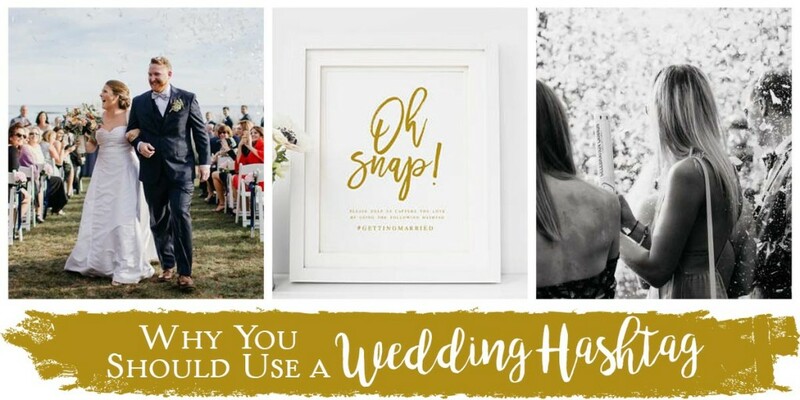 There are a few wedding hashtag generators out there that can help you come up with an original one. We like Shutterfly’s Hashtag Generator which is free, and also has a search option to check Facebook, Twitter, and Instagram. 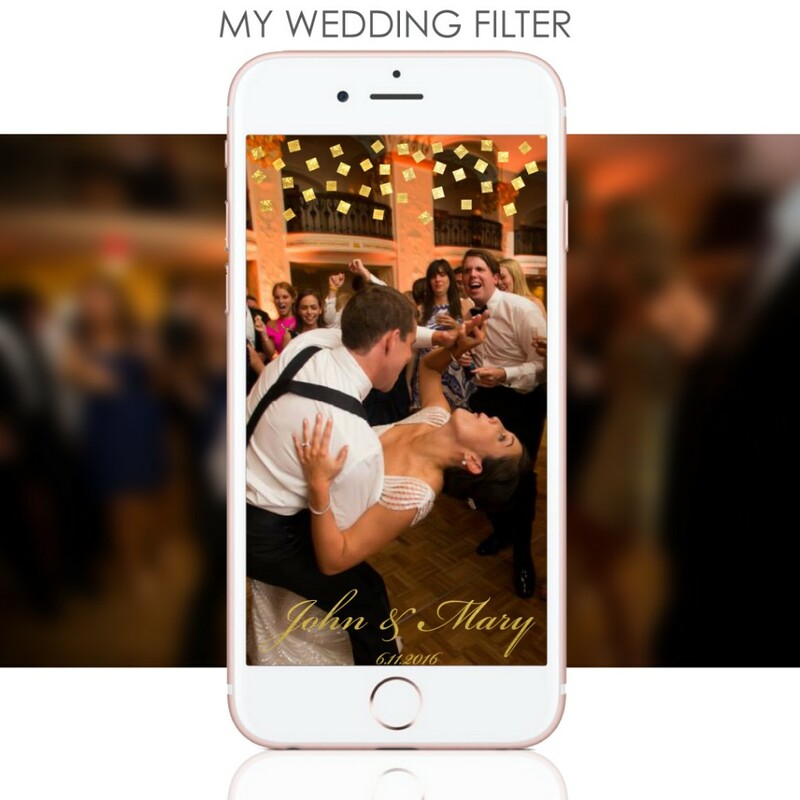 WeddingMix also has a free hashtag generator that allows you to customize based off your style. 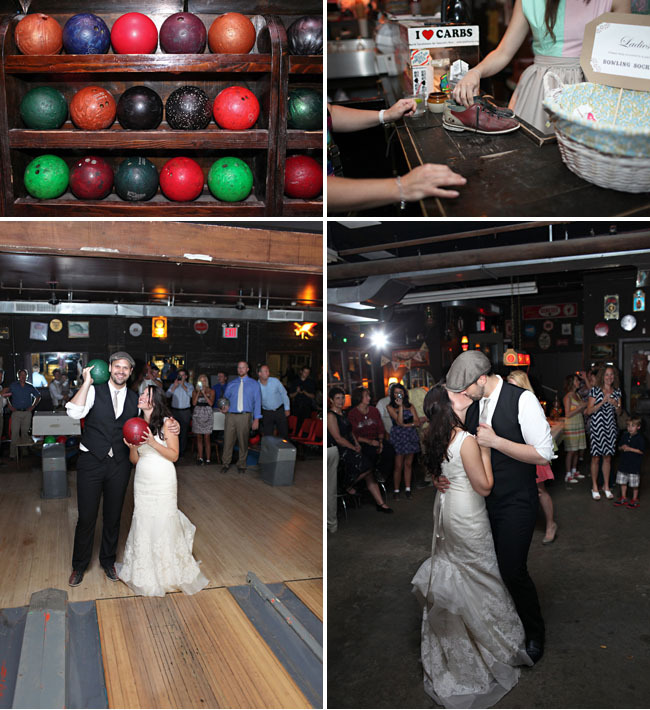 Choose from “Classic,” “Fun,” and “Offbeat” to get the right vibe for your wedding. Finally, if you’re hitting walls coming up with the perfect wedding hashtag, Mister Write offers personal services for crafting your hashtag. Note: this is also a great resource if you’re looking for customized vows, speech writing, and even proposal ideas! If you’re a crafty wordsmith you can look to movie titles, song lyrics, band names, and don’t be afraid to get punny with it. You want something that people will remember and that sets your wedding story apart. You found a great hashtag, now what? Now that the hard part is accomplished, it’s time to put that hashtag to work! Think of your hashtag as a photo album for your wedding: what you ate for lunch on the day you went dress shopping is a fun detail to include, but not every delicious meal you share on Instagram belongs in that hashtag category. Share things like addressing invitations, attending bridal showers, and meeting with your planner. It will be fun for you to look back on all the planning and see the process that brings you to your big day. Inform your guests and invite them to contribute. The best part about having a wedding hashtag is getting to see your friends, family, and guests use it. 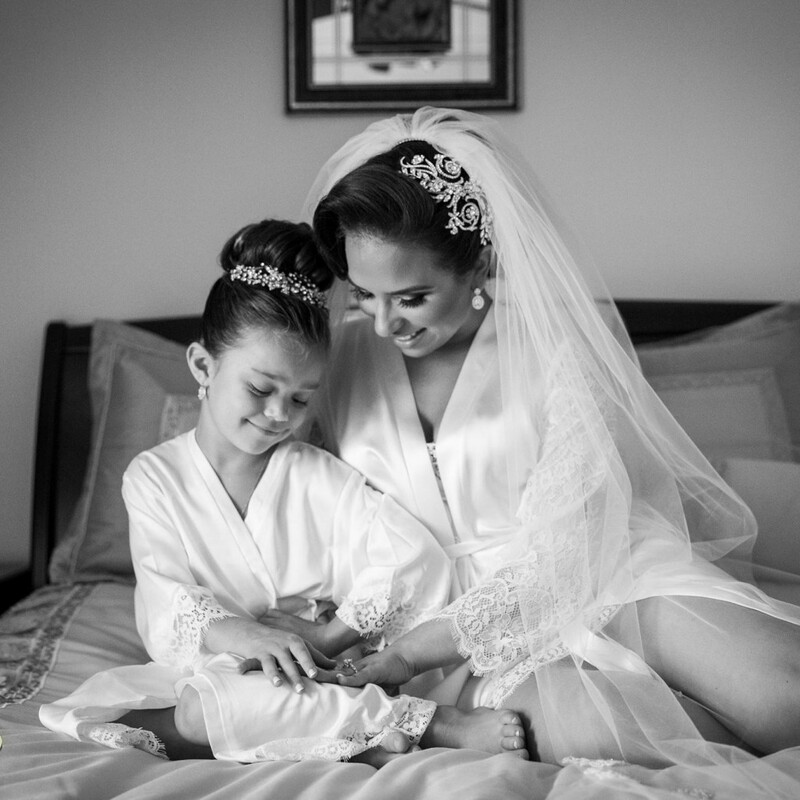 After the big day, you can sit back and scroll through all the different perspectives captured at your wedding. You definitely don’t want to miss out on all these photos, so make sure your guests know how to use the hashtag. The best way to keep them informed is to have several reminders. Include the hashtag on your invitation–it can even just be on the RSVP card. 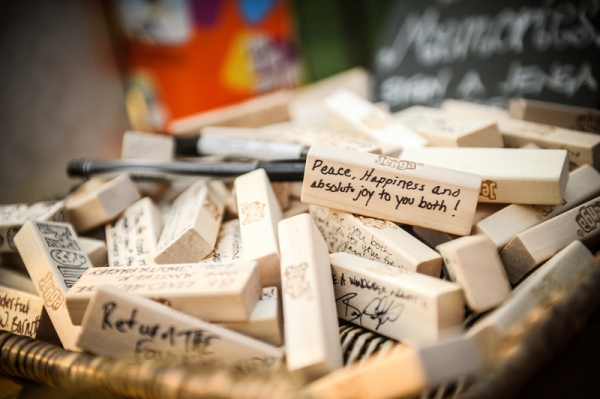 Place strategic reminders out at your ceremony, on the wedding program, by the gifts, and on the reception tables. There are tons of cute props out there to help you do this creatively and aesthetically. 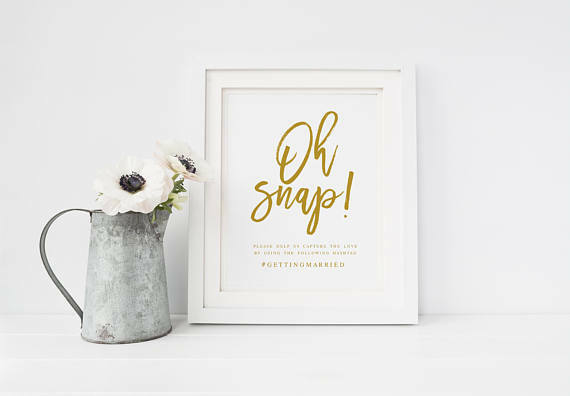 We like these printables from Wishful Paperie. Lastly, don’t forget this hashtag! 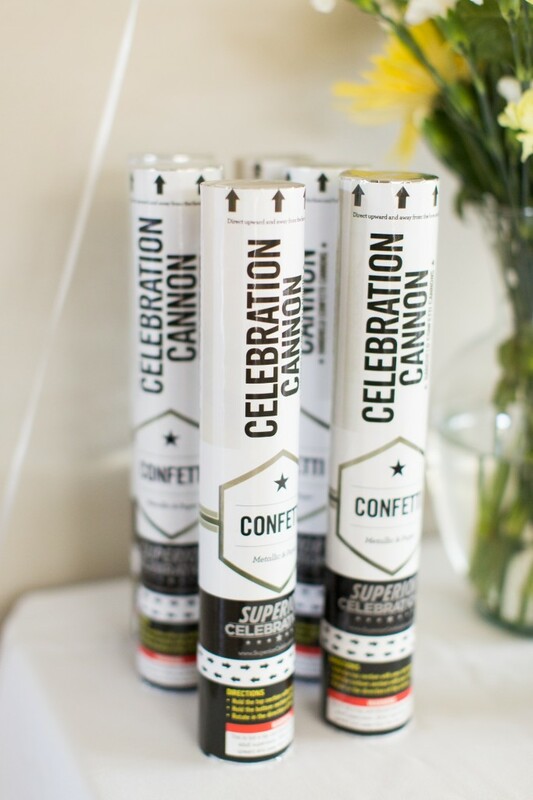 Finally, chances are if you’re reading this blog post you’re planning on using our spectacular Wedding Confetti Cannons or Wedding Sparklers. 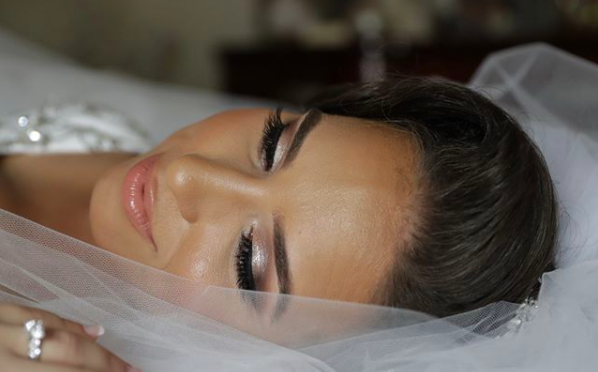 We love seeing how our customers use our products and don’t want to miss out on your big day. Make sure to tag us on Facebook or on Instagram @superiorcelebrations, and use #superiorcelebrations so we can see your gorgeous wedding! Valentine’s Day is next week. We’ve all been there, done that, and if you’re scratching your head as to how to make this Valentine’s Day any different, we have some ideas for you. 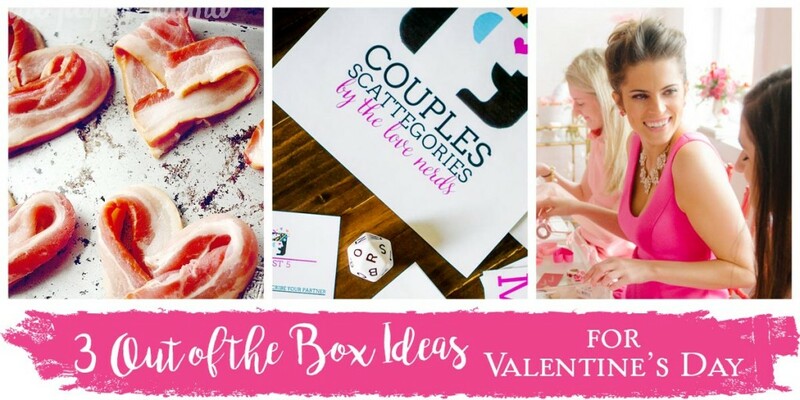 In the past, we came up with a fun “Valentine, You Make Me Glow“project, 4 Creative Ways to Celebrate Valentine’s Day, and even a Confetti-Inspired Valentine’s Day. Today, we have some “out-of-the-box” ideas to make this February 14th truly unforgettable. Forget chocolate, SweetHearts candy, and all things sugary. There are folks out there with zero inclination for a sweet tooth. These Valentine’s Day treats are for them. Remember when you were a kid and your mom would cut your sandwich with cookie cutters, or make you a Mickey Mouse pancake? It was always the most exciting thing to eat, right? Turns out, adults also get a kick out of shaped foods. And while bacon is perfectly beautiful (and delicious) in its natural form, heart-shaped bacon is even better. 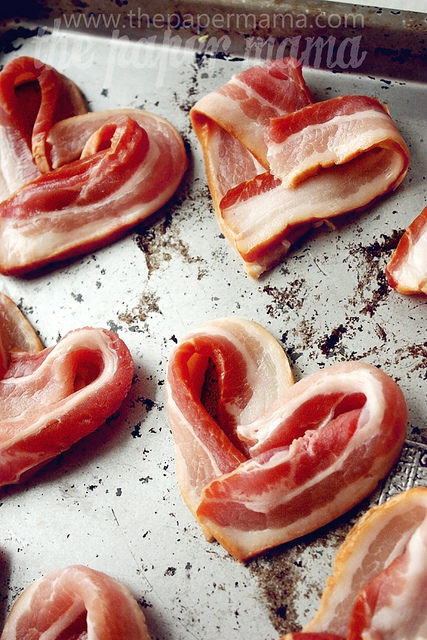 Surprise your Valentine with these Bacon Hearts. Guaranteed to score some points! Like bacon, pizza is a food that it is totally perfect in it’s usual form. 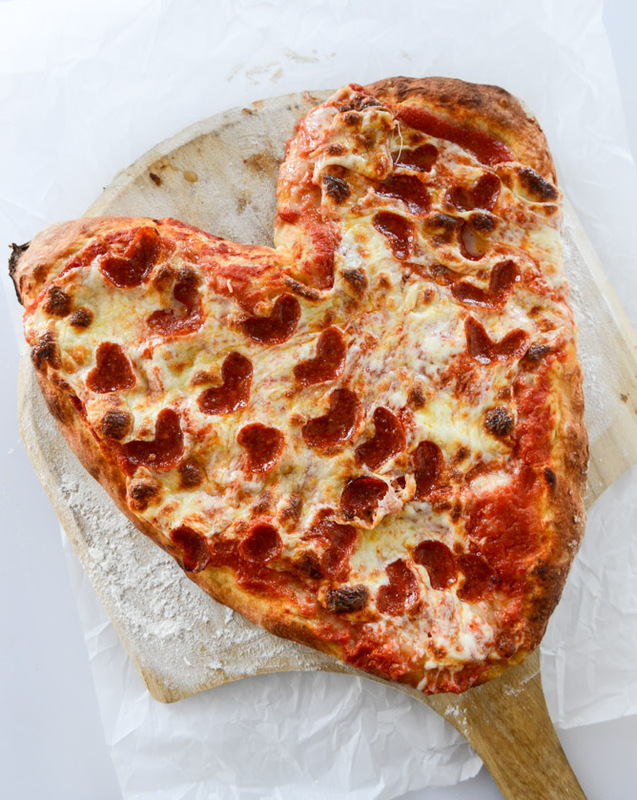 However, a heart-shaped pizza provides all the photo-ops you could think of. Gentlemen, if a proposal is in the books for V-Day, do not underestimate the power of pepperoni in off-setting that diamond. Not to mention, if you make the pizza yourself, you get in on the “thoughtful gesture” as well. I’m the sort who would take pizza over flowers any day! It can be really challenging to actually go out on Valentine’s Day. Most of us put off making a reservation, then find that our favorite restaurant is completely booked on the 14th. To avoid waiting hours to eat and maybe save a little on cost, we recommend thinking outside the box on your date night restaurant venues. Haven’t you heard? Staying in is the new going out. With a little extra thought and effort, you can have the perfect date night right at home. Maybe your perfect date night is ordering take-out and binge-watching Netflix together. Maybe you love cooking together and want to try out a complicated new recipe. We’re looking at you, Food Network gurus. 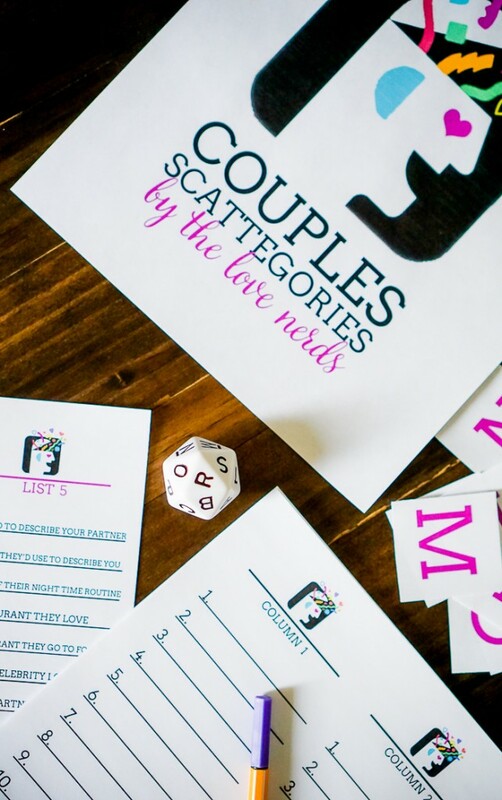 These are both fun options, but if you’re a couple who loves games, we really like this Couples Scattegories created by the Love Nerds. Even if you’ve been together for decades, you might just learn something new and have fun swapping memories and laughs. Another out-of-the-box date idea is to upgrade your favorite fast-food restaurant. Yep, you heard that right. A few years ago, Buzzfeed ran a story about the couple who had a romantic date night at Taco Bell. It’s one of those things where you think it’s so ridiculous that it’s actually brilliant. 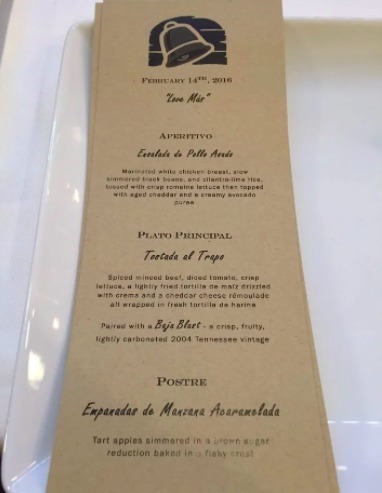 Taco Bell is a franchise that aims to please its fans and they accommodated the love birds with their own “fancy” menu and place settings. You could probably try this out at any of your favorite fast food chains, and you might just make Buzzfeed! Fun side note: did you know Taco Bell does WEDDINGS? Yes, we’re serious. 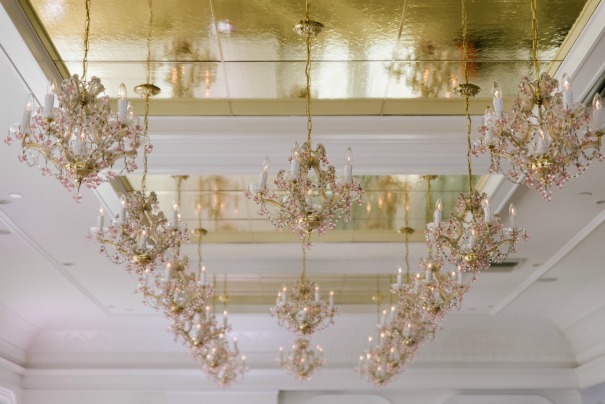 Check out this fun wedding trend. The point is, it doesn’t have to be a five-star restaurant to make a wonderful Valentine’s Day memory. Use the resources you have, think outside the box, and focus on building a memory that will make you smile in years to come. Galentine’s Day provides the perfect excuse to wear red and pink, eat lots of chocolate, and get all gushy for your girlfriends. 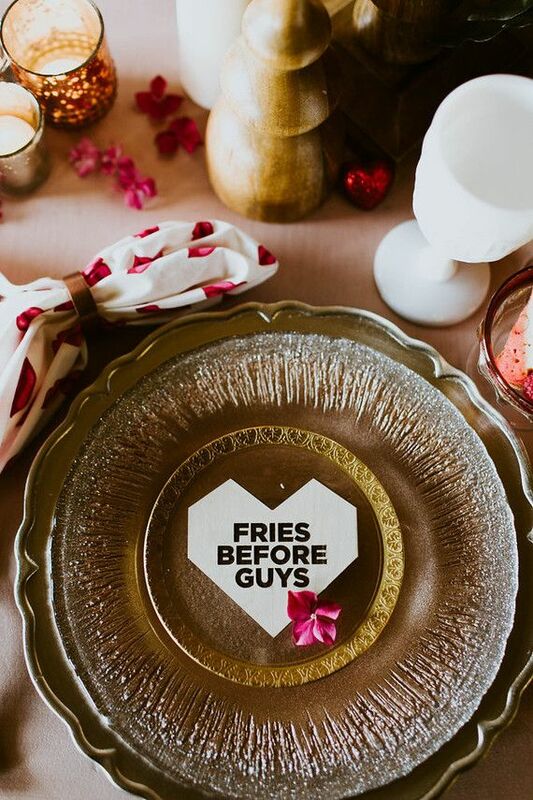 If you haven’t been invited to a Galentine’s Day event–host one! Trust me, your friends will show up. 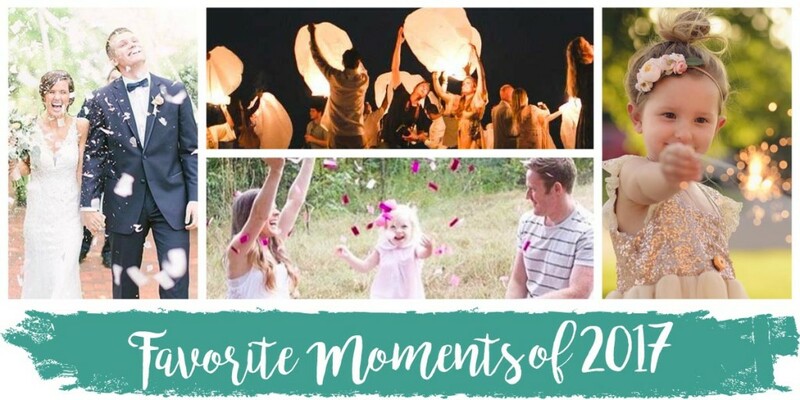 Even if you have just three or four guests, the opportunity to pop a confetti cannon, light a heart sparkler, and make a memory is reason enough to celebrate a knockoff/GENIUS holiday. Ultimately, Valentine’s Day is a mid-winter break that makes life exciting and fun. Let’s face it–January through April tends to be a strange lull in the year. Holidays are over, spring isn’t yet here, and we need that reminder to celebrate and connect with our loved ones. We hope that these few unconventional ideas help you make your Valentine’s Day unique and memorable. If you do have an “out-of-the-box” Valentine’s Day, be sure to share it with us on social media! Tag us on Facebook or Instagram with #superiorcelebrations so that we can take a look. It’s always exciting when we get to feature a customer’s story on our blog. Our products allow us to be a part of so many beautiful days and gorgeous photographs, but it’s a real treat when we get to hear the full scoop. 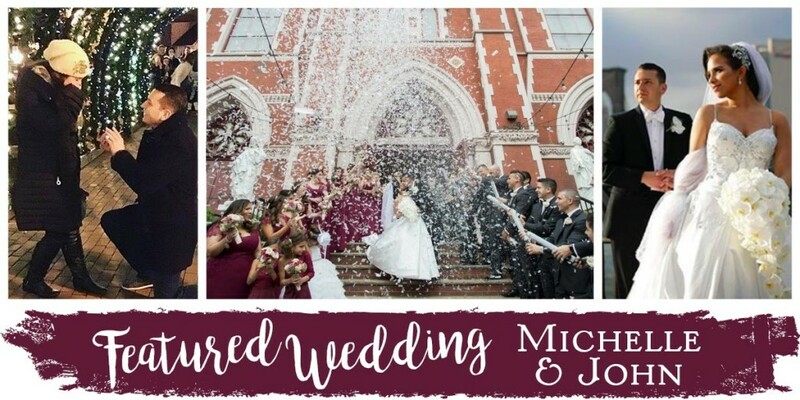 Today we want to share a sweet love story, and beautiful wedding details from our customers Michelle and John. 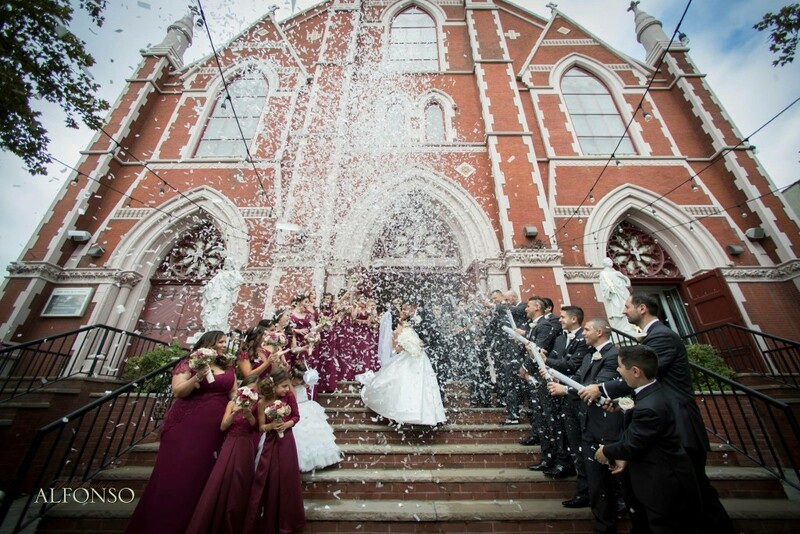 They tied the knot on October 14, 2017 and used our Wedding Confetti Cannons for their church exit. We asked Michelle a few questions and are excited to share her story with you all. There is no doubt you’ll gain some inspiration, ideas, and have a few “awwww” moments! John and I met June 2007 at a friend’s sweet sixteen party. He was the dancer working with the DJ company and I was a guest at the party. As soon as we saw each other something instantly clicked. Being a shy 16 year old girl I just glanced over from time to time hoping he would come say hello. After a few hours of locking eyes he came over and asked me for the last dance. After that night we became the greatest friends. A month later, on the Fourth of July, he kissed me for the first time while watching Win A Date With Tad Hamilton. The rest is history. Our love story continued for the next 8 years, and I could sit here and write about it for hours. We grew up together, helped each other grow, and our love just became stronger. John and I have made beautiful memories, have picked each other up through the tough times and encouraged each other through every obstacle. He is my soulmate, my best friend, and I can’t picture life without him. After our picture was taken I began to walk away when John grabbed my hand, turned to me and said “You know I love you right?” I was still clueless when he grabbed my face and explained how much I mean to him. It was then I realized what was happening, but I was in complete shock and so surprised! I began to cry, he then got down on one knee and said, “Will you marry me?” Unable to even speak I screamed yes! Just when I thought the moment couldn’t get any better or more perfect my family came running through the other side of the tunnel. We had his family on one side, my family on the other and the song “A Moment Like This” playing in the background. It was truly a fairy tale and the most magical night of my life. 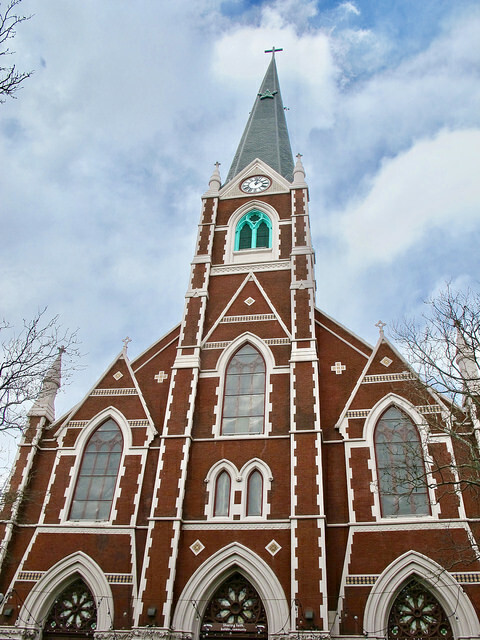 We had our wedding at Sacred Hearts St. Stephens in Downtown Brooklyn. This church is very special to me because it is where my parents got married, and as a little girl I always thought it was so beautiful. There were so many amazing moments in our day, but my absolute favorite was when John and I exchanged our vows. The confetti canons were shot right after we walked out of church. It felt magical and was the perfect moment right after we officially became husband and wife. 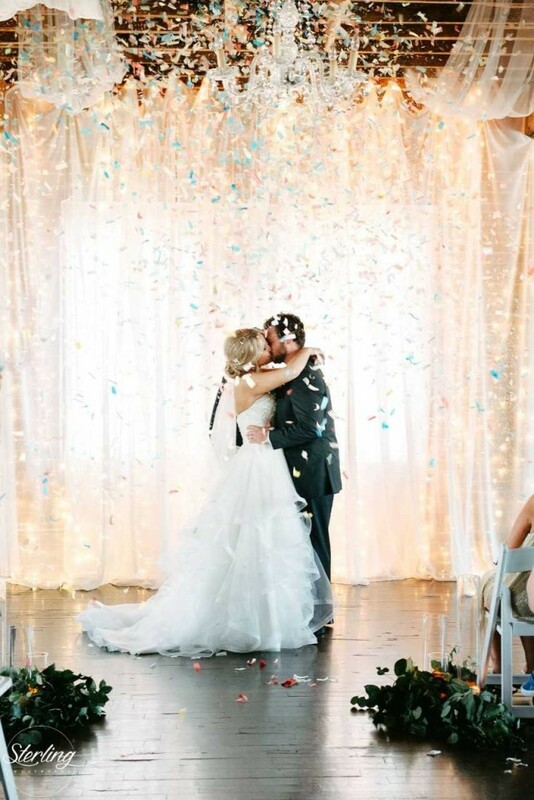 We loved our confetti and got so many beautiful pictures thanks to your company! We had the reception at Westmount Country Club in New Jersey. While we were shopping around for venues for the reception, it simply felt right at Westmount. 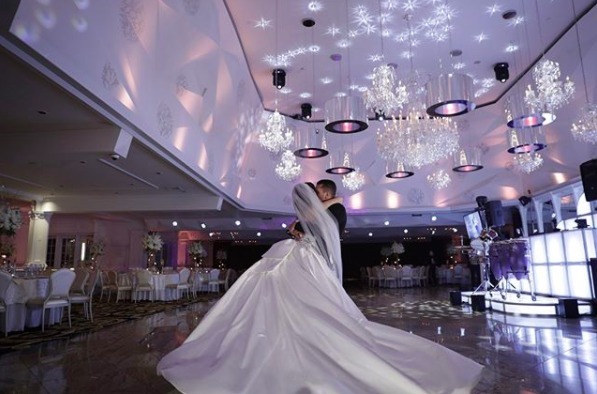 It has a modern and classic feel for the traditional wedding we have always wanted. Our first dance was “Never Stop” by SafetySuit and I danced to “Daddy Dance With Me” by Krystal Keith with my father. Those two dances were beyond special and everything I dreamed they would be. 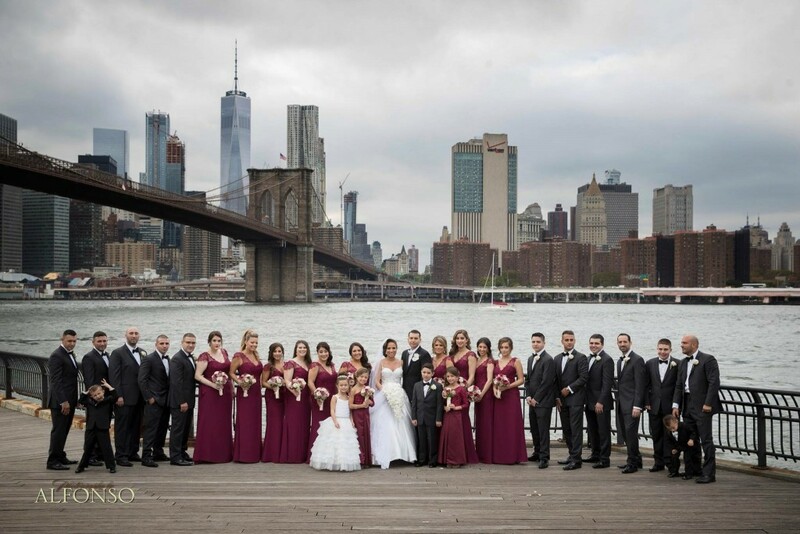 We had a big bridal party and it was a blast! I wouldn’t have had it any other way. Most of the members were family and friends that turned into family. The little children are our nieces and nephews, and the junior groomsman is John’s adorable cousin. The two junior bridesmaids are my brother and sister’s daughters, they were ecstatic to be such an important part of our big day. My beautiful flower girl is my brother’s daughter Alessandra. She was so proud that day and did an amazing job. My vendors were amazing and wonderful to work with. My dress was designed by Pnina Tornai. It was an absolute dream to wear one of her dresses. My makeup was done by Lauren D’Amelio and hair was by Senada K.
Our flowers were done by Pedastals. They were absolutely stunning. Lastly, our cake was done by Palermo Bakery. A huge thank you to Michelle for sharing her lovely story and the details on her wedding. We are so thankful for customer feedback, and for sharing with us on Instagram. We found Michelle’s photos just by following the #superiorcelebrations. Please be sure to tag us so that we can feature your story, too! If you are in the New York/New Jersey area be sure to check out her vendors, and give them a follow on social media. 2017 was a spectacular year for weddings, and we are excited to see what 2018 brings! It’s hard to believe that 2017 is over, and a new year is just begun. This is when we we stop and reflect on the year we had and contemplate what we want for this next year. 2017 was a great year at Superior Celebrations because we got to take part in so many beautiful moments with our customers. 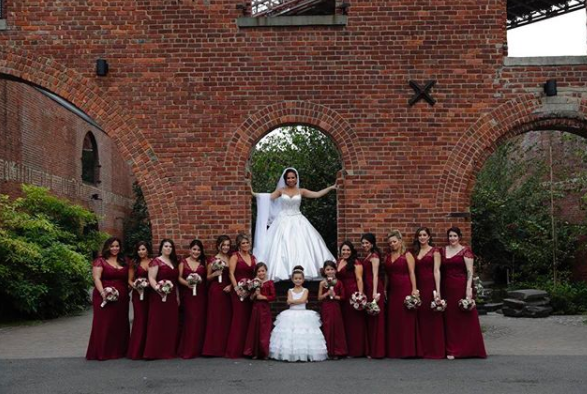 We want to share some of the highlights with you and thank our sweet customers for including us in their big days. Ah, gender reveals. They hold a dear place in our hearts. A a new baby is always a mystery–what will they look like? Who will they someday be? The gender reveal party is a fun place to start all that wonderment and excitement with friends and family all around. We get so many amazing stories and photos from our customers that it’s difficult to narrow down a few favorites. 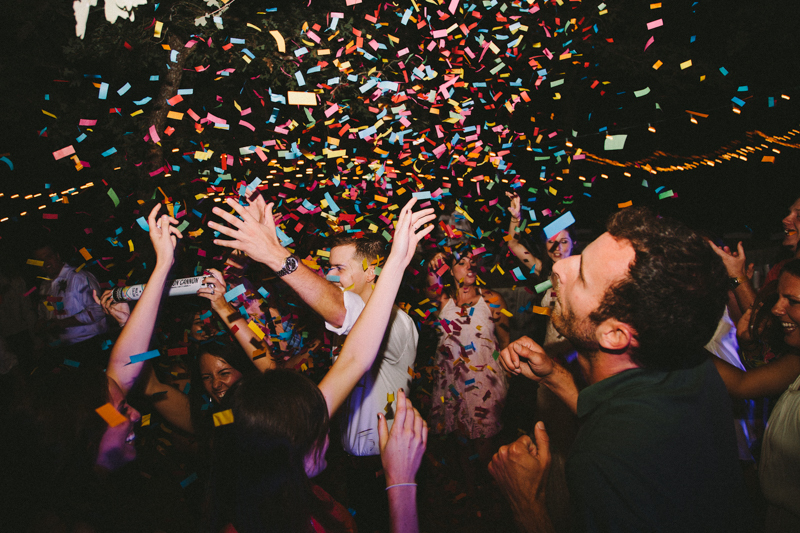 Sometimes in the flurry of confetti and jumping–we find that folks do a lot of jumping at the reveal–it can be tricky to see everyone’s faces. 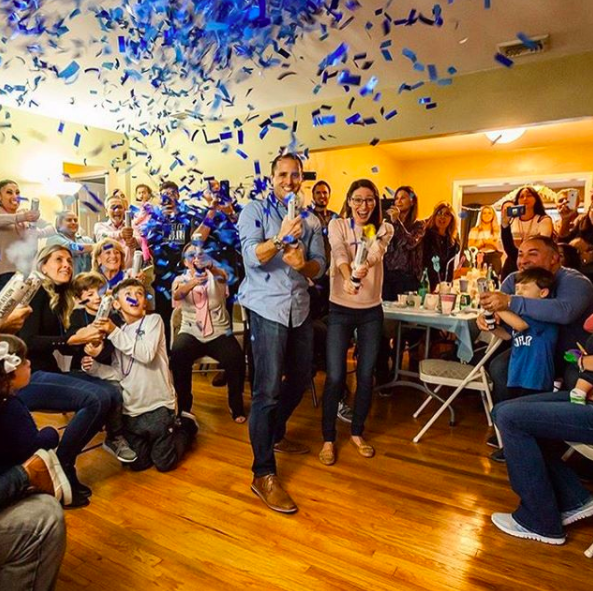 It was so fun to see the Pecora family’s reaction to baby boy! And how about those small, intimate reveals? This sweet moment shared by the Tuck family is one of our favorites because big sister is the central part of the photo. We have two options for Gender Reveal Confetti, pink and blue. 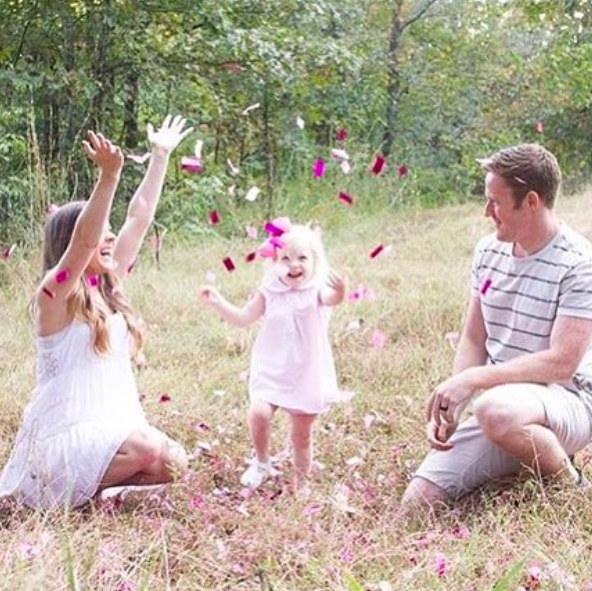 Imagine our delight when the Craft family had both pink and blue confetti blast off for their twins! Sparkler exits are a big deal over here. 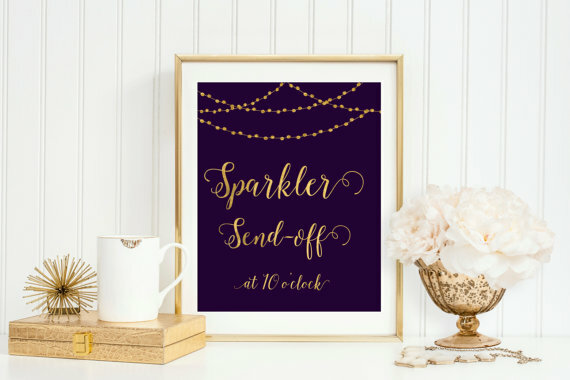 If you’re in the market for wedding sparklers, or are considering using them in your wedding make sure you check out our posts 6 Sparkler Sendoff Do’s and How to Photograph a Wedding Sparkler Exit. And now for a few of our favorites! 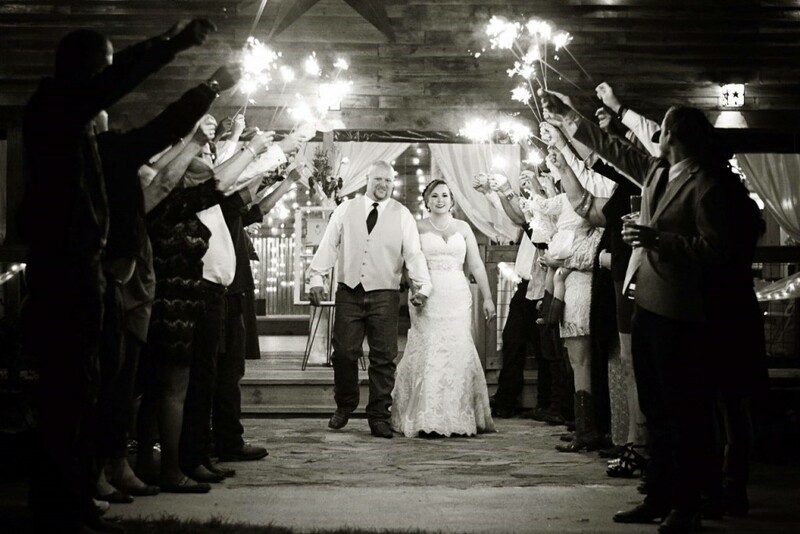 Sparklers are a staple for New Year’s Eve, and this couple kicked off 2017 by tying the knot. The sparkler exit captured by Daisy Moffat is full of fun and excitement. 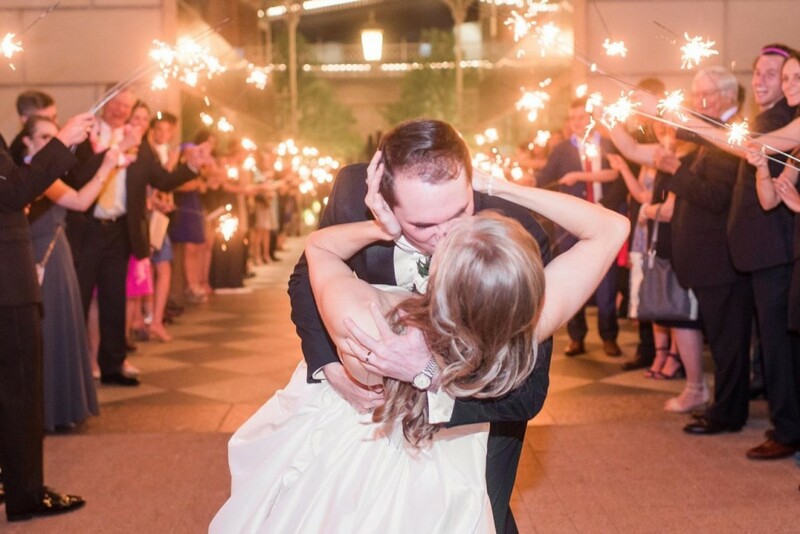 It’s always adorable when you get a close up of just the bride and groom with sparklers. This cute smooch was captured by April from April G. Photography. With adult supervision, sparklers are most thoroughly enjoyed by children. 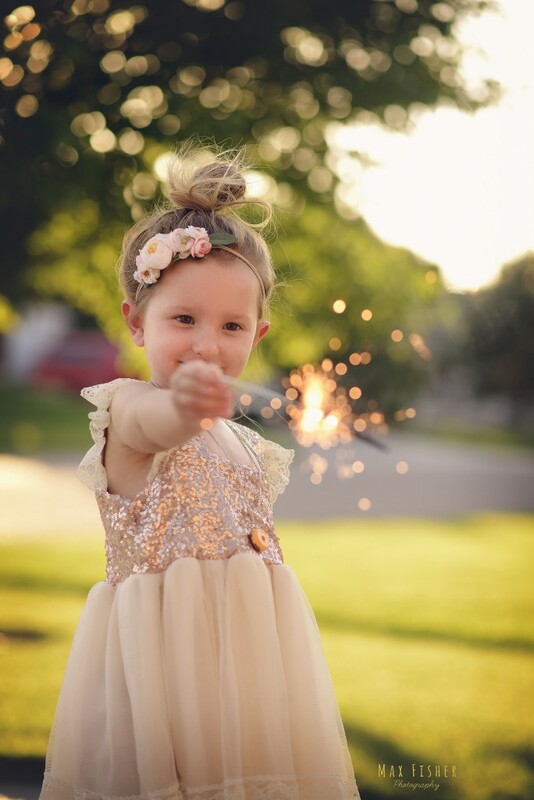 Ashley from Ashley Guinn Photography used our 10″ Sparklers in a princess photo shoot. How sweet is this little one? It’s always exciting to see new ways for people to photograph our sparklers. 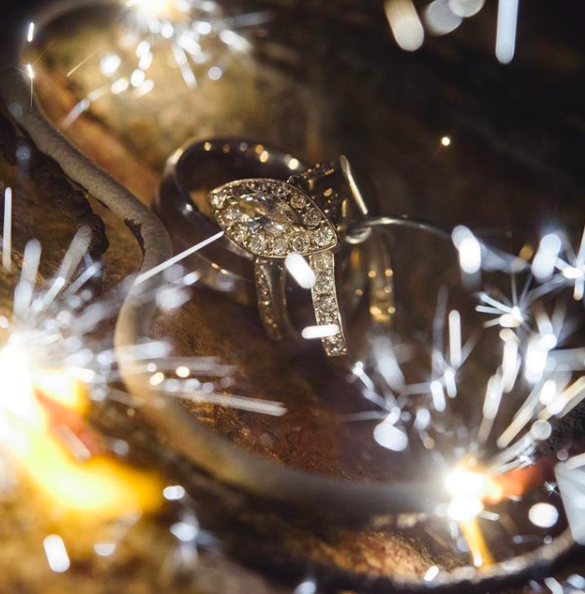 This ring shot captured by Laura Moore puts an interesting spin on our Heart Sparklers. 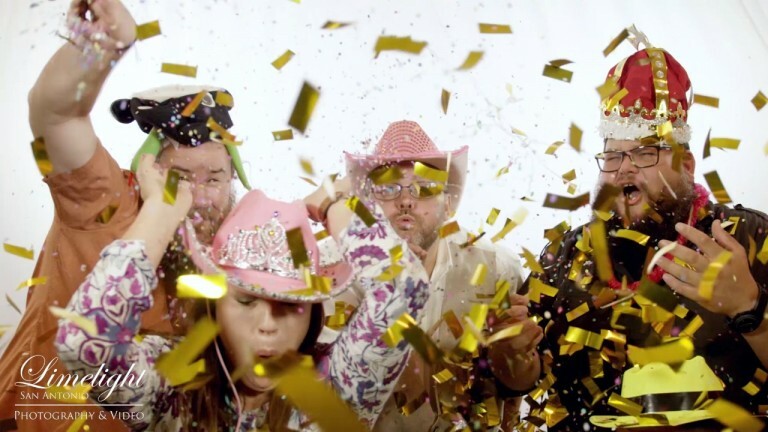 We couldn’t be happier that the old tradition of throwing rice is now a showering of confetti. 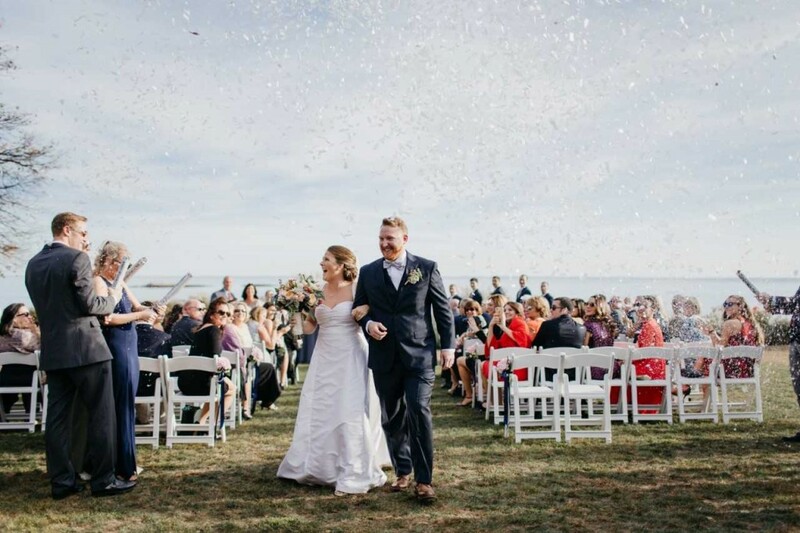 Our White Confetti and Multi-Color Wedding Confetti are the top sellers for weddings, although other colors and varieties are also used and look amazing. 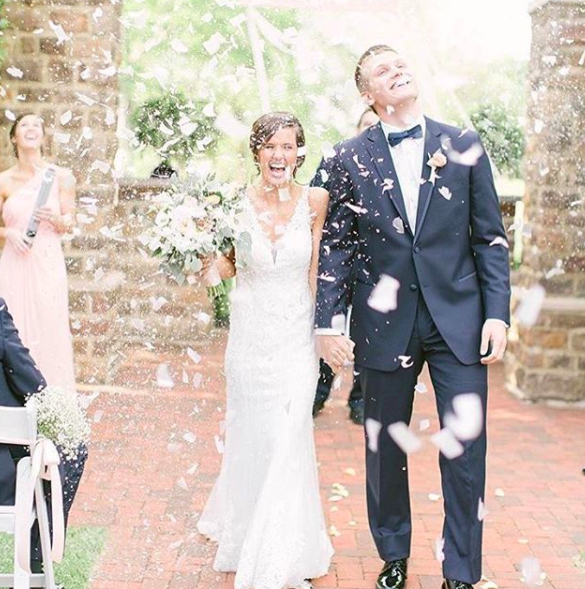 First off, our favorite multi-color confetti picture is of Britt and Tory, captured by Sterling Image Works. 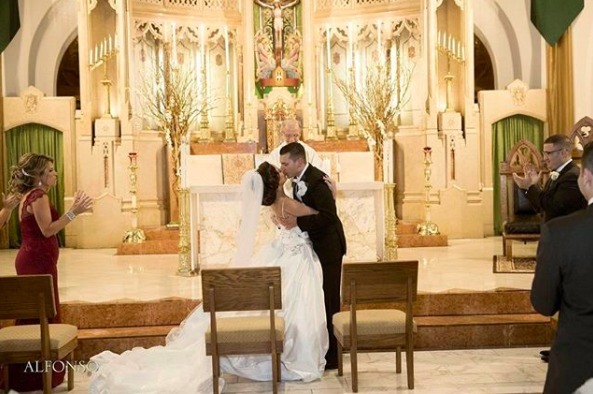 A perfect “you may kiss the bride” moment. 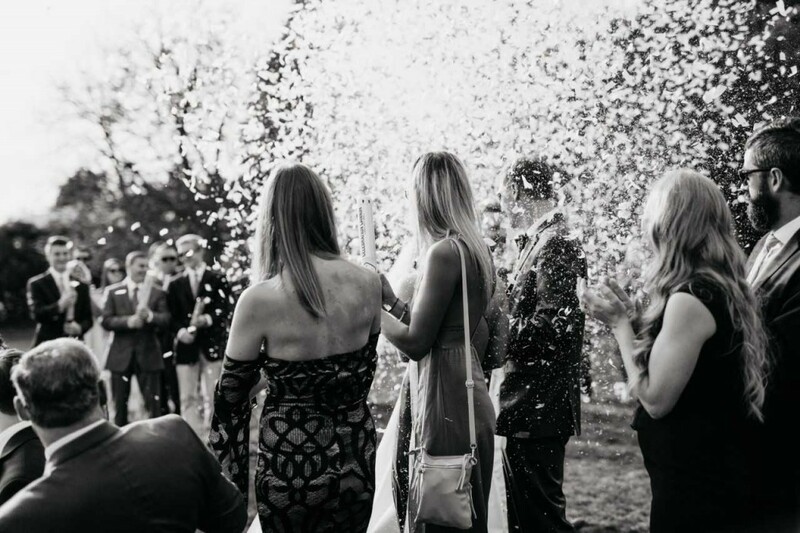 Typically, the bride and groom are the ones who decide to use confetti. 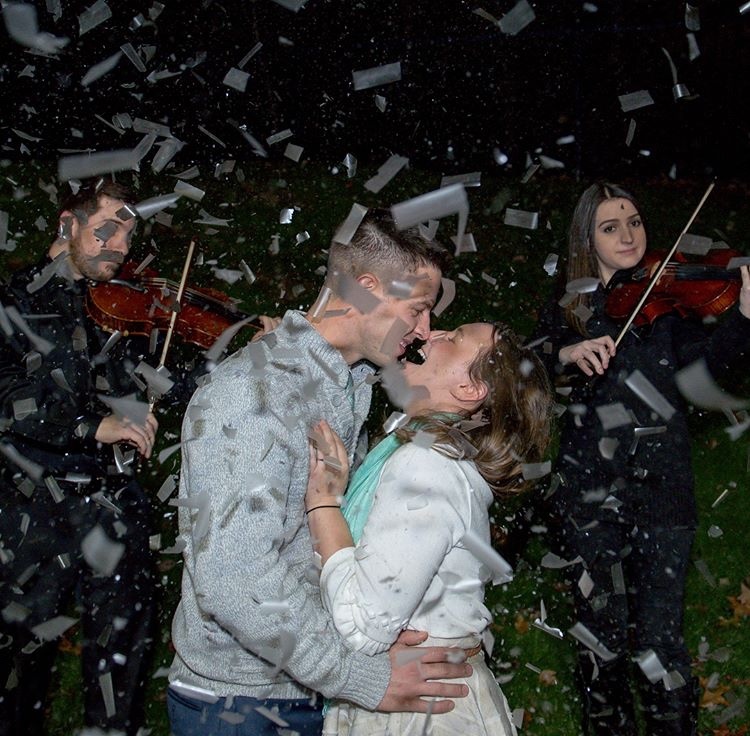 However, for this couple, the confetti was a total surprise! How fun for them to walk down the aisle as it’s raining white confetti. 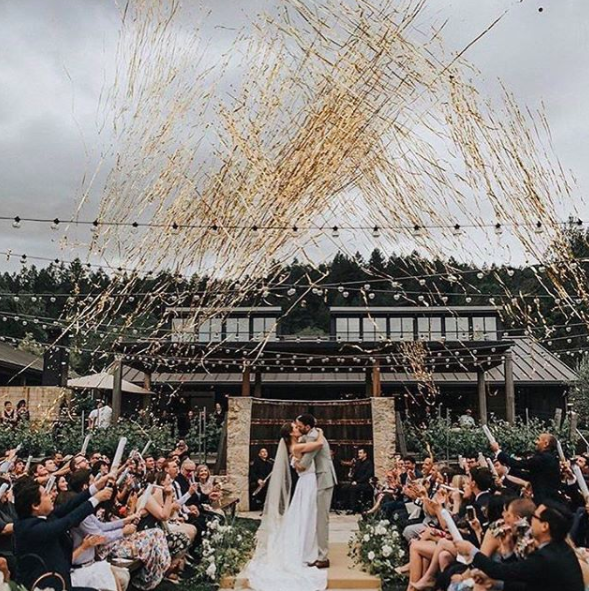 When a couple goes super bold with our Gold Streamer Cannons, the result is a giant golden archway that is absolutely perfect for that end-of-the-aisle shot. 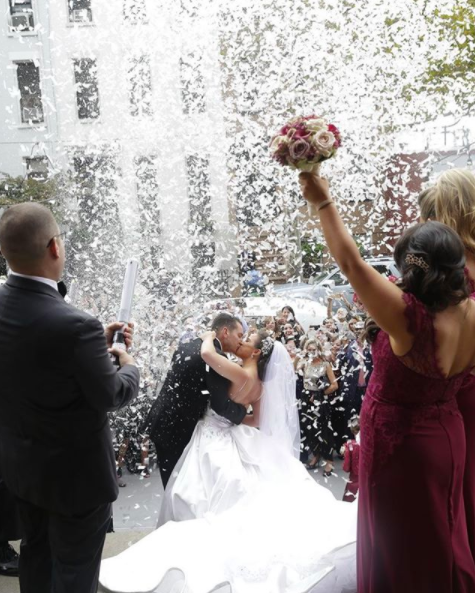 Finally, you have to give it up to the couple and the photographer who will brave the rain for a confetti shot. 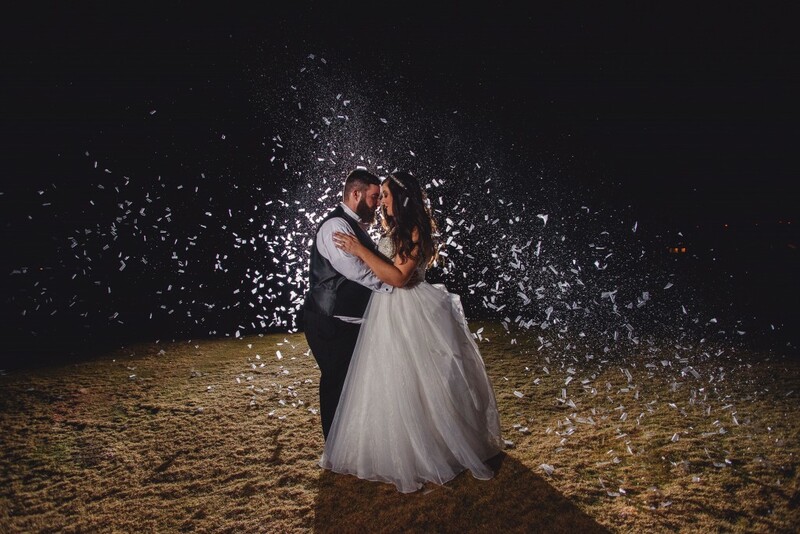 This photo was captured by Laura Moore and has us rethinking everything we know about confetti and rain. In fact, we have an entire post dedicated to Weddings and Rain: A Photographer’s Perspective. 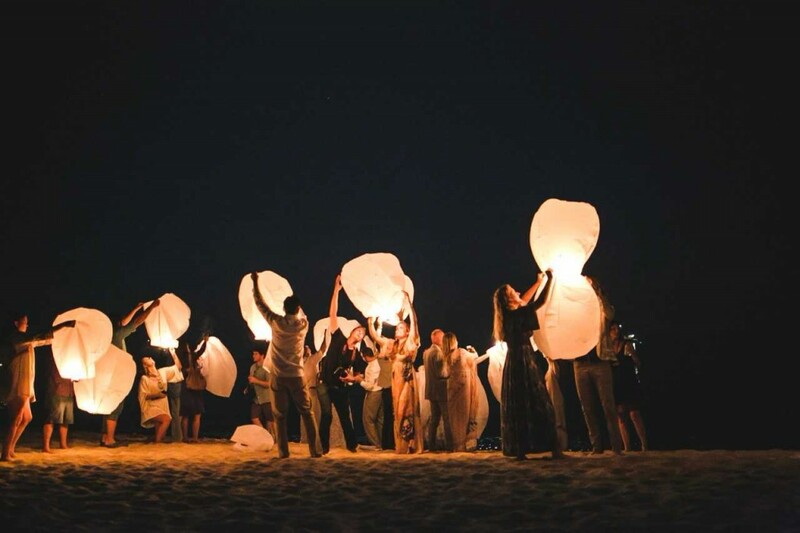 Sky lanterns are the way to go if you always dreamed of a fairy tale wedding. 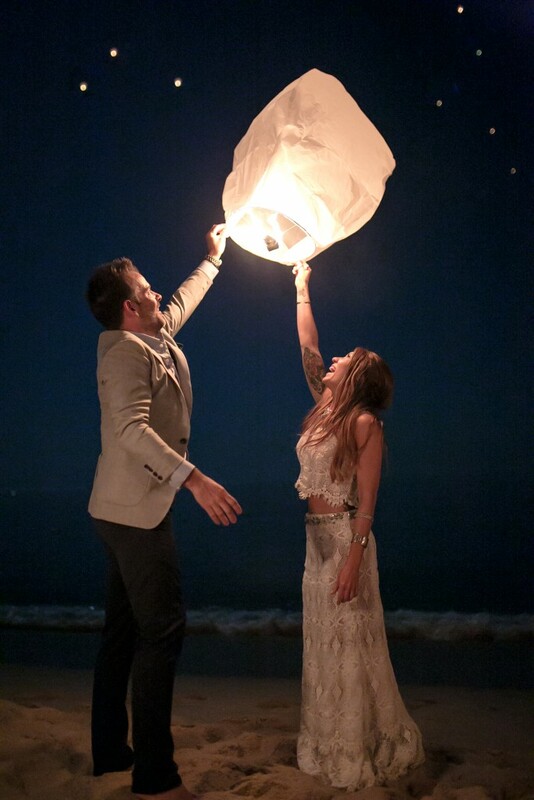 That said, combined with a destination wedding, our lanterns are a match made in heaven. We loved this destination wedding shot in Cabo by Victoria Huff. Sending off a sky lantern is one of those “bucket list” items for everyone, and these guests had a blast filling the night sky with them. Looking back on all the photos of 2017 shows just how beautiful a few things like confetti, sparklers, and lanterns can make a moment. We are so thankful for our loyal customers and the amazing photographers who allow us to showcase their work. We are looking forward to a truly spectacular 2018. 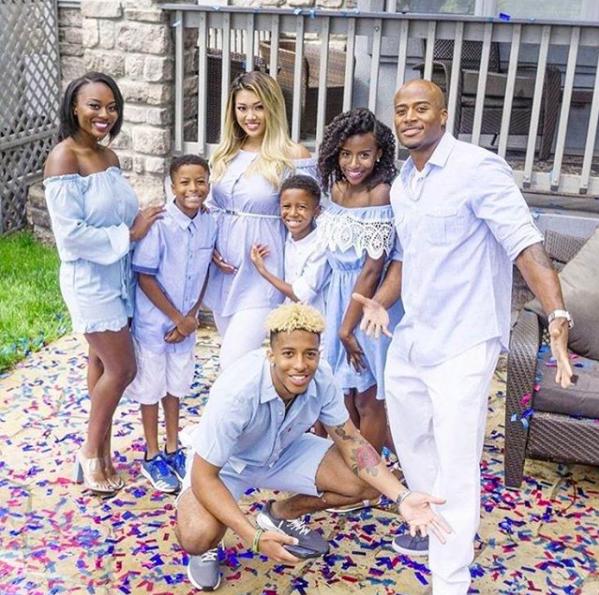 If you want us to see your weddings, events, and gender reveals, be sure to tag us on Instagram @superiorcelebrations and use the hashtag #superiorcelebrations. You can also give us a shout-out on Facebook. We often talk about weddings here and hope to provide inspiration for couples planning their weddings. But what comes before the big day? The proposal, of course! While it’s the ultimate romantic gesture, proposals take creativity, guts, and sometimes a team of people to pull off with finesse. 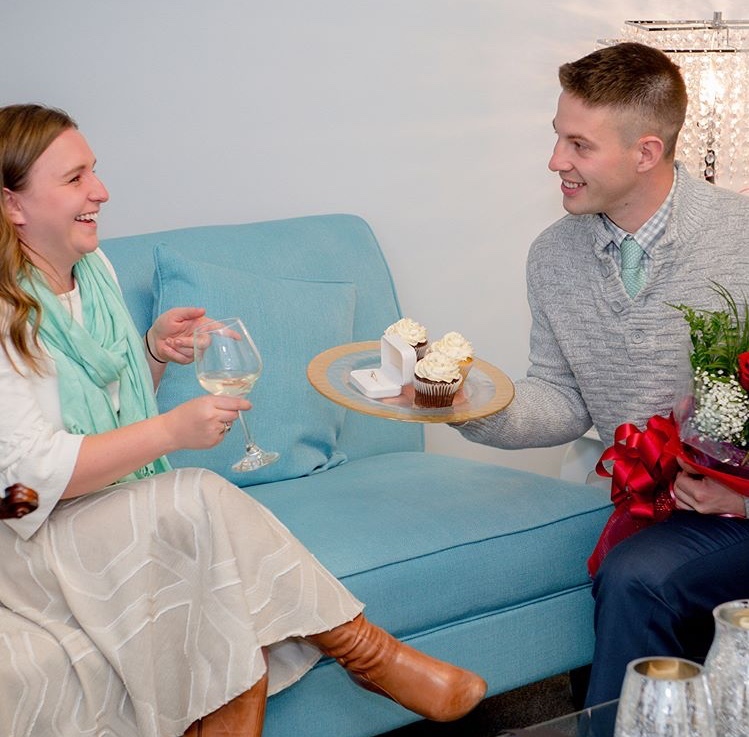 So what happens when you put your proposal in the hands of a wedding and event planner? Today, we want to share a sweet story while spotlighting a few of our friends from the wedding and event industry. What’s especially fun about this proposal is that the couple, Ben and Irena, both work as vendors and know their way around weddings. Ben works as the chief operating officer for Chase Canopy, a company specializing in luxury tents and event rentals, and Irena works for BBJ Linen, the nation’s leading provider for linen rentals. 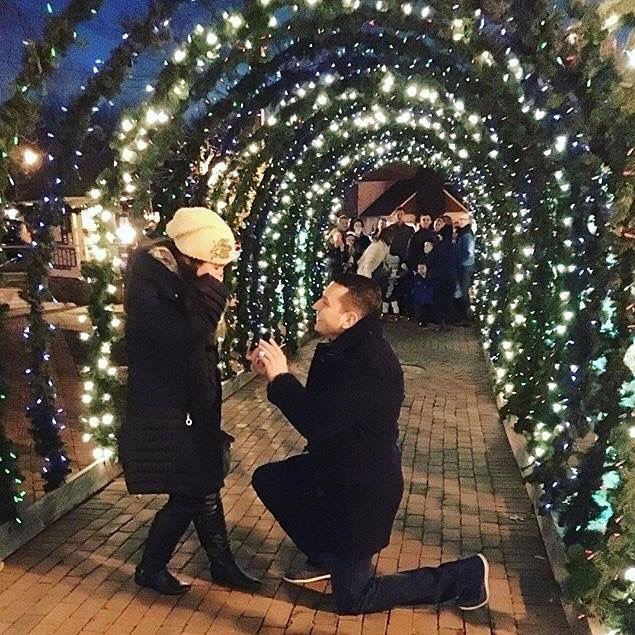 The fairy godmother of this story, Lisa from Creative Concepts by Lisa, worked with Ben to pull off a spectacular proposal that was watched by 20,000 people on Facebook Live. Now, before we get to the juicy details we have to tell you a little bit about Lisa and her fabulous company. 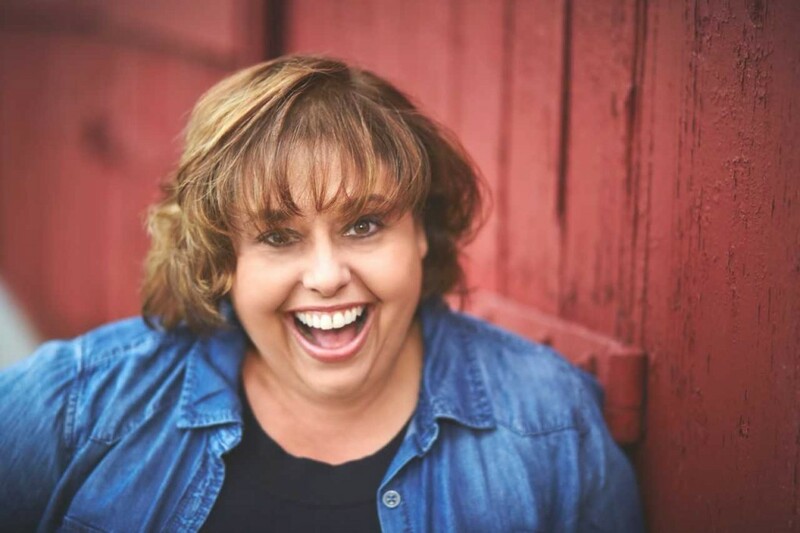 Lisa started her business in Hamden, Connecticut back in 2009. Since then, the team has grown and now has offices in Mattapoisett, Massachusetts as well. Lisa describes her philosophy as making her clients shine. She says, “My philosophy is simple, when the curtain goes up you get a standing ovation! 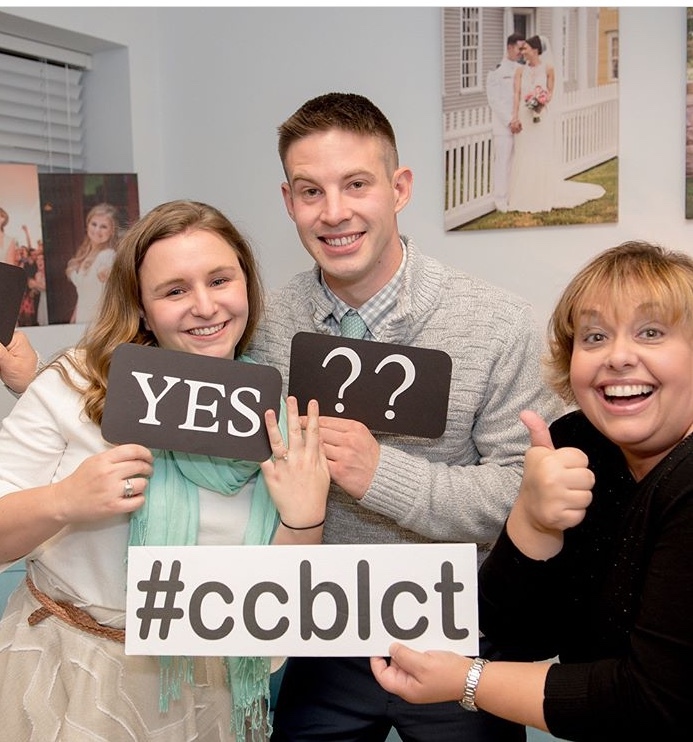 I absolutely love being a wedding planner and making you the star of the show.” Lisa’s enthusiasm is infectious, and it’s no wonder Ben turned to her to help stage his proposal. So how did Lisa manage to get both Ben and Irena into her office for a Facebook Live event? The Teal Couch. Every Tuesday, Lisa invites industry vendors to come to her office, sit on her teal couch, and engage in a live Q & A. 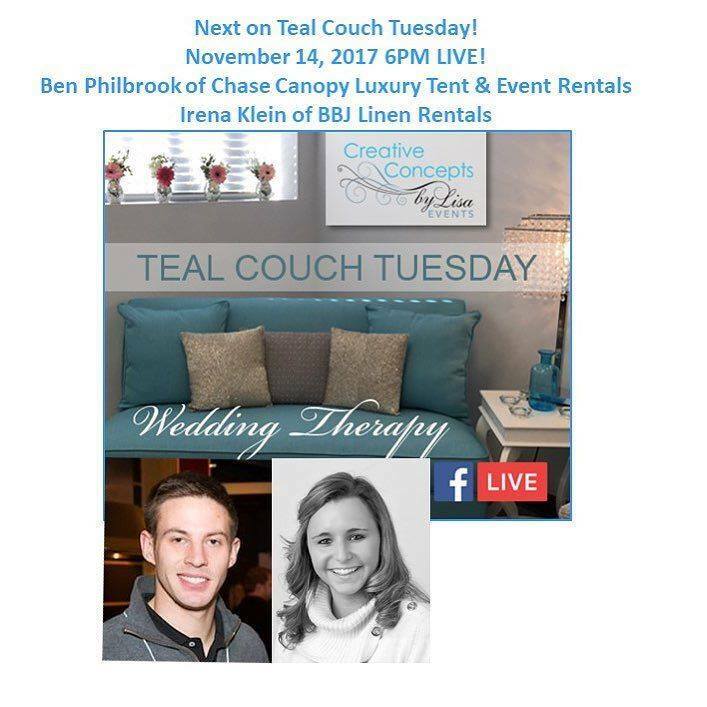 The Teal Couch provides what she calls “wedding therapy,” and gives the perfect space to swap stories, exchange laughs, and share valuable information with her audience. 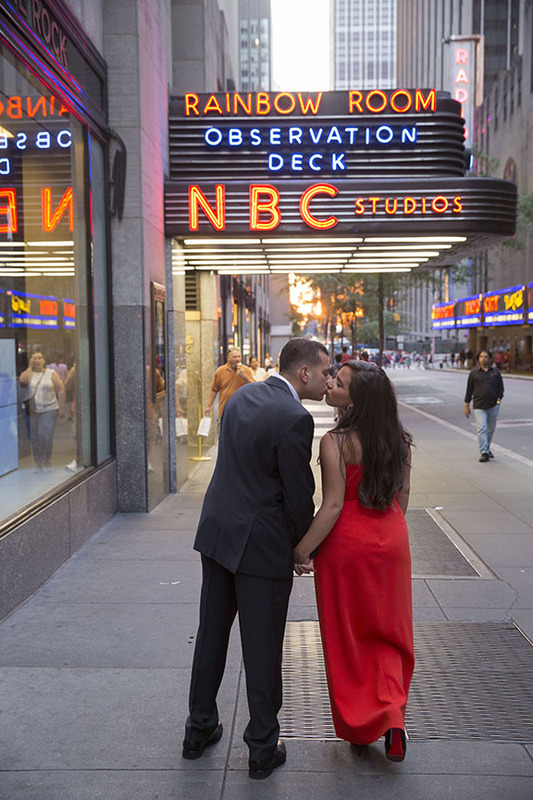 When Ben and Irena came on it was because they are TWO of my industry vendors, but behind the scenes Ben and I had been working to get Irena on the show for months and surprise her with the wedding proposal! 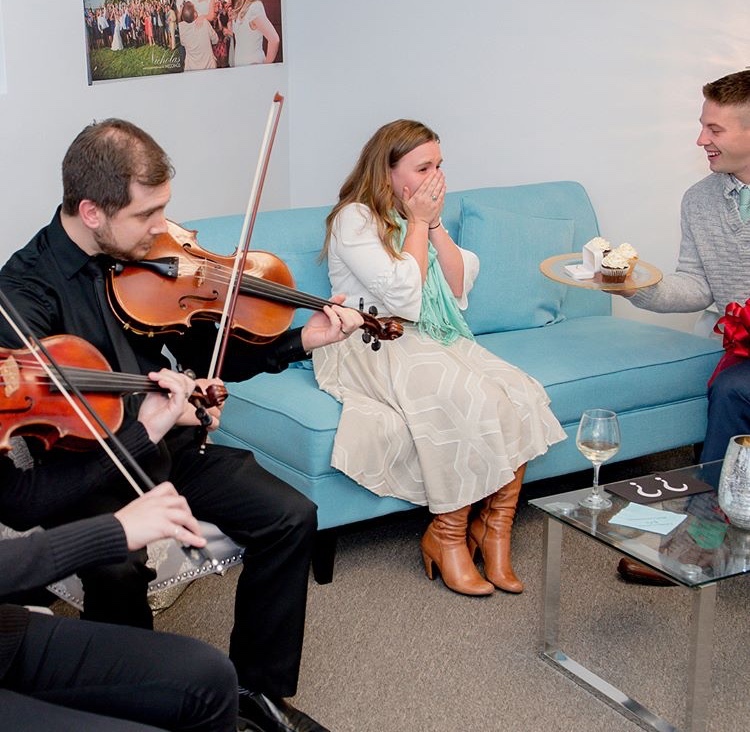 Ben appeared on the Teal Couch over the summer and that’s when he decided to pop the question in Lisa’s office. The proposal didn’t take place until November, after luring Irena in under the pretense that she would be talking about BBJ Linens with Ben and Lisa. Ben purchased his ring at Jared’s Jewelry and dropped it off with me the week before the show so she couldn’t stumble upon it. 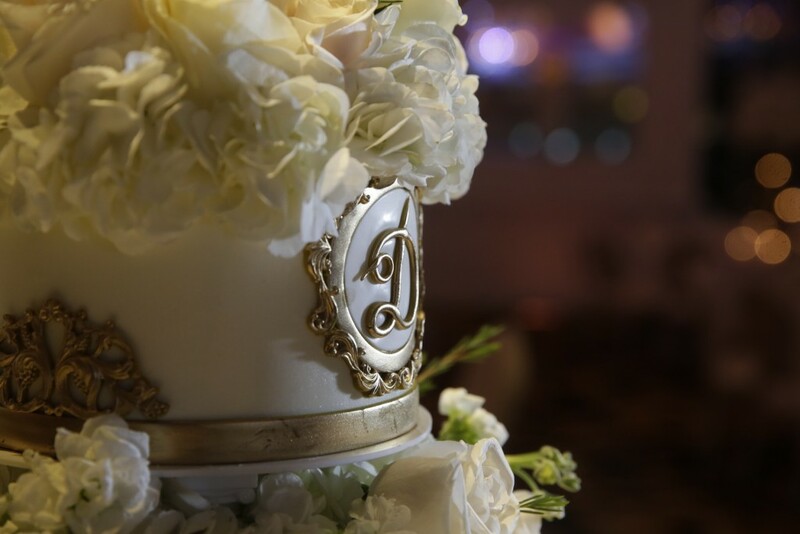 I then contacted my friends and fellow vendors: Luigi of Forget Me Knot Flowers for the dozen red roses, Hope at J-Cakes for the amazing cup cakes adorned in edible pearls and diamonds, Steve of Juhasz Music for the live music and JC of Robert Norman Photography to capture it all! Funny, I set up the on-site photographer as being in my office to take images for my website, and we even did twenty minutes of “mock photos” pretending they were clients, and now they are. Irena was NONE the wiser! Lisa introduced Ben and Irena and allowed them each some time to talk about their respective businesses. They then went into the Q & A format for a typical Teal Couch session. After some time, Lisa asked Ben to retrieve something from another room while she and Irena continued talking. 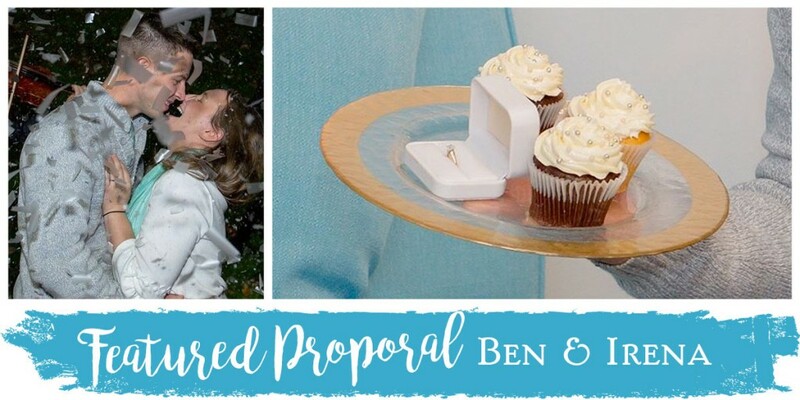 A few minutes later, Ben came back accompanied with musicians and immediately got down on one knee. Irena was so shocked that he had to ask the question twice. You can see the disbelief on her face in this photo. This is after Ben popped the question a second time. This is most likely the moment that all the women watching on Facebook Live started getting a little teary. When you think of the number of people involved in this proposal, and the fact that it was recorded on Facebook Live it’s almost a miracle that it went off without a hitch. Lisa explains that Ben really did his homework to make sure that everything went perfect. He even came down a few days earlier to do a “walk through” to practice with Lisa. Someone give this man a Klondike bar! Major kudos, Ben. We might be a tad bit biased, but one of our favorite parts about this proposal is the photo op they did using our confetti cannons. 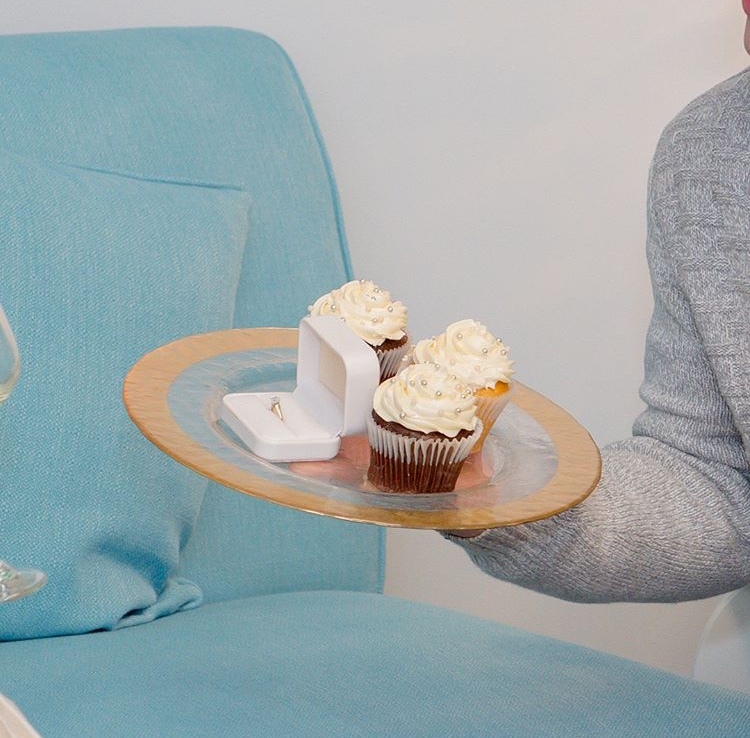 We always get to see them used for weddings, but just maybe they are even more magical at proposals? Lisa will be along for the ride of wedding planning and assures us that a wedding set for 2019 is on the books. Ben and Irena asked her to be the officiant and she assures us that it will be a “tented affair,” most likely dripping in gorgeous linens. We hope to see some sparklers and confetti cannons make an appearance as well (wink). Congratulations, Ben and Irena! What a beautiful proposal and exciting day. If you want to watch how it all unfolds you can see the recorded video from Facebook Live on Lisa’s page. Make sure you follow her on Instagram as well! A huge thanks to Lisa for sharing all of these insider details with us. We are so excited to see what is sure to be a fabulous wedding in 2019.